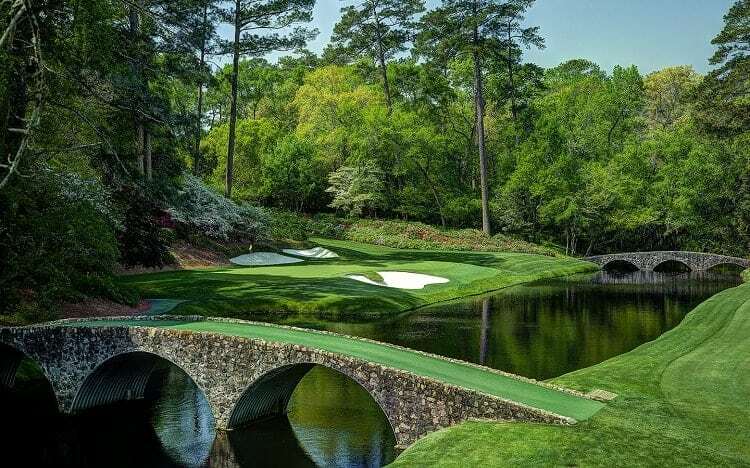 If you’re like me, the beginning of Masters Week is filled with more anticipation than the coming of Christmas morning. I start thinking about the iconic CBS golf announcer Jim Nantz and his famous “Hello Friends” opening line to begin weekend coverage and it sends chills down my spine. It’s the same for me every year. The week begins with watching Golf Channel’s Live from the Masters on Monday morning. Next comes the flood of e-mails in my inbox from friends inviting me to join Masters pools. After the beating I take every year in March Madness I probably shouldn’t allocate any more funds, but I do anyway. Then comes the Par 3 contest on Wednesday afternoon where wives and kids get to caddy in oversized white jumpsuits and the roars of tee shots finding the bottom of the cup echo through the Georgia pines. By the time Thursday coverage starts it’s been made clear to my girlfriend that I am not to be bothered with yoga classes or healthy food for the next four days. 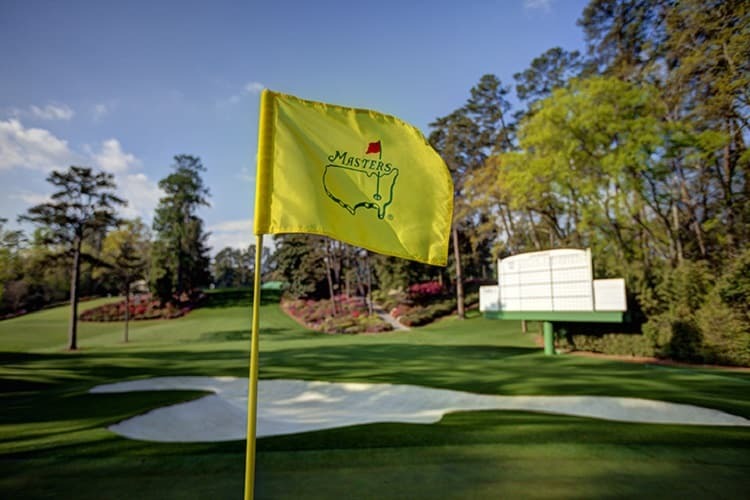 To cap it off on Sunday, I invite anyone that wants to join over to watch the final round where we eat too many pimento cheese sandwiches, drink sweet tea (mixed with something else) and dress in Master’s green. For most golfers, the Masters is indeed a tradition unlike any other. Not only is it the symbolic beginning of spring and the first major of the year, but it’s also the only one that returns to the same venue every year. 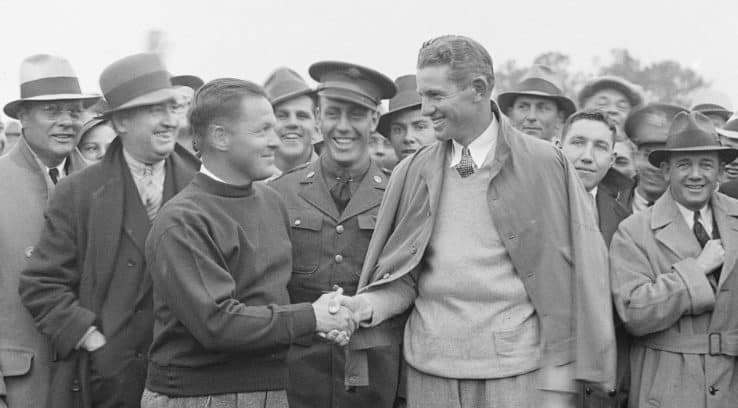 What began as a vision of the great Bobby Jones to be a gathering of friends nearly a century ago has become the most celebrated tournament in the game. Over the years there have been career-defining moments that we all remember but there are also countless stories and anecdotes that are less told but equally important. 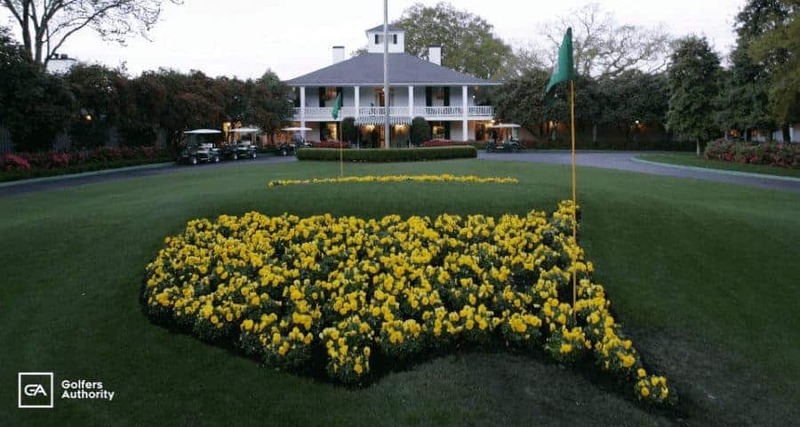 If you’re curious to know a little more about the hallowed grounds of Augusta National and the Masters, read on. Alister McKenzie was a renowned golf course architect who designed some of the most revered courses in the world dating from 1905 until 1933 when he completed his final work, Augusta National. 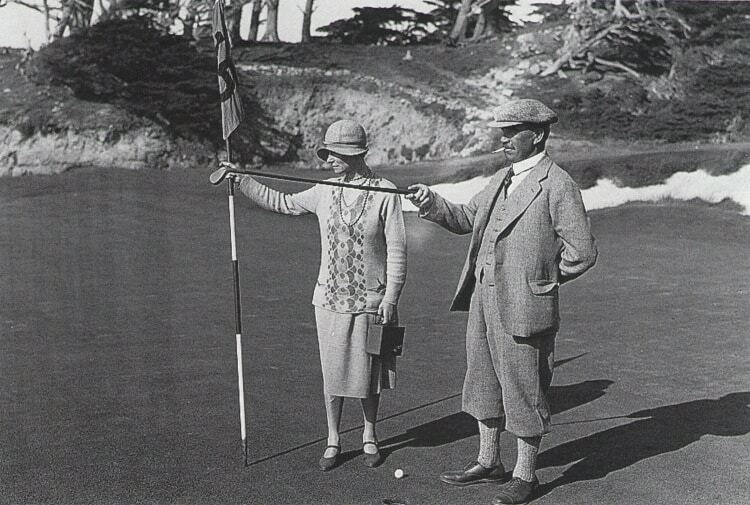 When the club’s founder, Bobby Jones, played Cypress Point in California (another McKenzie design) he knew McKenzie was the man he wanted to design Augusta National. With the course ready to open its doors and the inaugural Master’s tournament slated for the early spring of 1934, McKenzie passed away on January 6th just a couple months before the tournament was to be held. There is no denying that the decorum expected at the Masters is unlike anything else in all of sports. For announcers doing the broadcast, spectators are to be referred to as patrons or gallery. Calling them fans is strictly forbidden. Just asked Gary McCord and Jack Whitaker who violated the rule and were promptly dismissed from their posts. 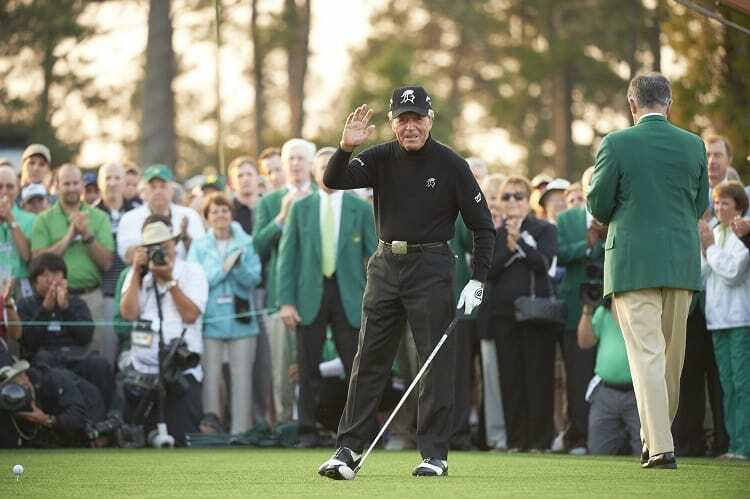 When Gary Player won the first of his three green jackets in 1961, he took the jacket with him as winners are allowed to do. Augusta asks that jackets be returned the following year where they will be stored from then on. In the years that followed his victory, Player developed a habit of perpetually forgetting to return his jacket. It is now on display at the World Golf Hall of Fame in Florida. Horton Smith was the first winner of the Masters. The initial plan was for the club to have 1,800 members from which revenue would be generated and purse could be paid. At the time of the first Masters, however, the club only had 76 members and there wasn’t enough money to pay the winner. Horton eventually collected thanks to a private collection taken up by the membership. Despite several attempts to raise money to keep the doors open, Augusta National was forced to close during WWII. During the war, the club used the land to raise cattle and turkeys in a failed attempt to make money. In 1939 members of Augusta National decided to all wear green jackets so that spectators (patrons) could easily identify them and ask questions. 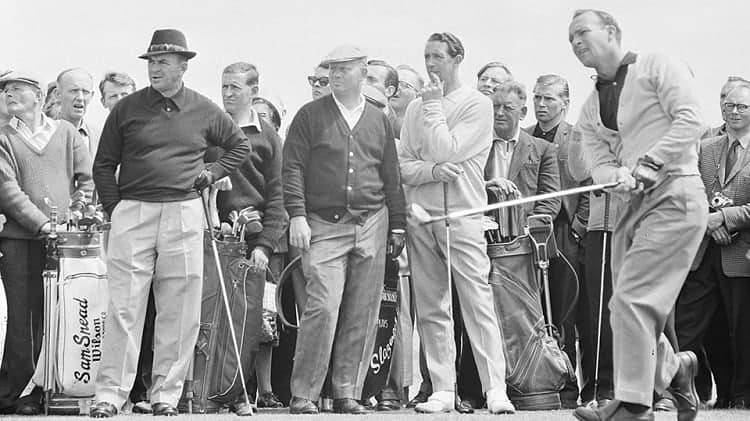 It wasn’t until 1949 that Sam Snead was the first winner to receive a green jacket. It wasn’t until 1982 that players were allowed to bring their own caddies. Prior to then, they were assigned local caddies who knew the course inside and out. One of the most notable local caddies of all time is Carl Jackson who began caddying for Ben Crenshaw in 1976. The relationship continued for more than 30 years. One of the most indelible images is Masters history is the two embracing on the 18th green in 1995 after Crenshaw’s emotional win shortly after the death of his lifelong friend and coach, Harvey Penick the week before the tournament. How Did Rae’s Creek Get its Name? The iconic creek that meanders through holes 11-13, known as Amen Corner, was named for the property’s original owner, John Rae, who passed away in 1789 long before Americans even knew what golf was. The Masters Almost Never Came to Be! In 1934 founding members Clifford Roberts and Bobby Jones petitioned the USGA to host the US Open. When the USGA denied their request, they decided to host their own tournament called the Augusta National Invitational. In 1958 Augusta National granted military personnel from a nearby army base free admission to the tournament. As a former military man, Arnold Palmer was a huge hit with all the soldiers in attendance. As Palmer passed a scoreboard during the tournament, a military member hung a sign that read “Arnie’s Army” and the moniker is still used to describe the King’s fans today. Eisenhower is the only president to have ever been a member at Augusta National. On hole 17 a large tree overhung the fairway on the left side that Eisenhower purportedly hit more than any other member. The tree affectionately became known as the Eisenhower tree. Unfortunately, the tree was cut down after it suffered serious damage during an ice storm in the winter of 2014. Anytime an odd number of players making the cut at the Masters, a marker plays with the first player out on Saturday and Sunday morning. So who is the marker at Augusta? None other than Jeff Knox. And Knox isn’t just some 4-handicap that’s lucky enough to play alongside the game’s greats. He’s not only an Augusta member but the guy can flat out play. He holds the course record from the member tees at 61. He’s won the Georgia Mid-Amateur three times. He’s also a member of the Georgia Golf Hall of Fame. When Knox plays as a marker his score is not officially reported but it’s pretty well known that the 50+-year-old has a decent record against some of the game’s best notably beating the likes of Rory McIlroy and Sergio Garcia. If you ever get the chance to watch the Masters early on Saturday or Sunday morning, keep an eye out for this guy. Augusta’s founding members, Clifford Roberts, and Bobby Jones were both amateurs their entire career. That tradition continues to be reflected at the Masters every year. The winner and runner-up of the U.S. Amateur and winners of the British Amateur, Asia-Pacific Amateur, Latin America Amateur, and the U.S. Mid-Amateur all receive invitations to the Masters the following year. While it’s rare that one of these players finds there a way to the first page of the leaderboard on Sunday afternoon, the amateur with the lowest score at the end of the tournament receives the Low Amateur award and a piece of coveted Augusta crystal for the feat. If you’re a golfer and the Masters isn’t your favorite tournament of the year, you need to have your head examined. With the trimmings of southern hospitality and a rich golfing history steeped in tradition, there exists no greater stage in the world for the best players usher in the beginning of spring. 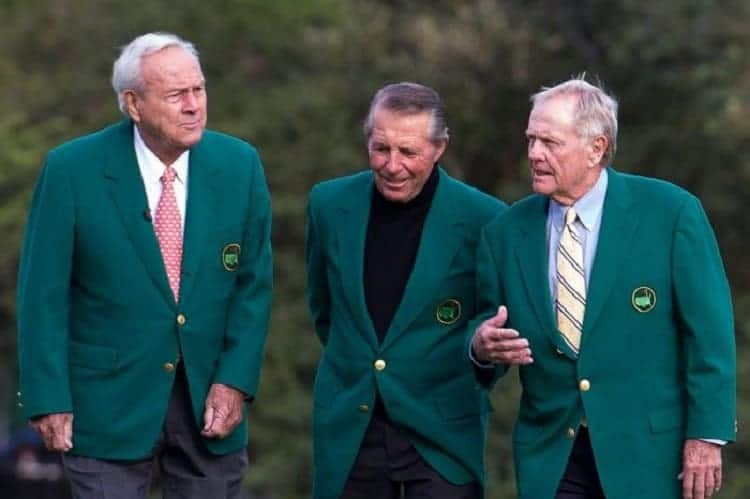 While we all remember Nicklaus’ iconic win in 1986, Larry Mize’s chip-in on hole 11 to beat Greg Norman in a playoff in 1987 and Tiger’s 12-shot victory in 1997, there is so much more to the Masters worth mentioning that goes overlooked. As you watch the Masters this year, take time to appreciate the minor details and little tidbits that are barely mentioned and you’re viewing experience will only be enhanced. In the meantime, I have to get to the ATM and turn in my pools. There’s a reason golf course homes on the right side of holes are cheaper than the ones on the left. It’s because 90% of golfers are right-handed and hit slices that break windows and land in swimming pools on the right side. If you’re like me, you’ve hit plenty of sliced, weak shots to right that either end up out-of-bounds or short and right your intended target. You know that hitting a draw (right-to-left shot) is preferred because it goes farther and isn’t as affected by the wind. But for the life of you, you can’t seem to make it happen. You’re in luck as we are here to help. The lexicon of golf is bewildering at best. 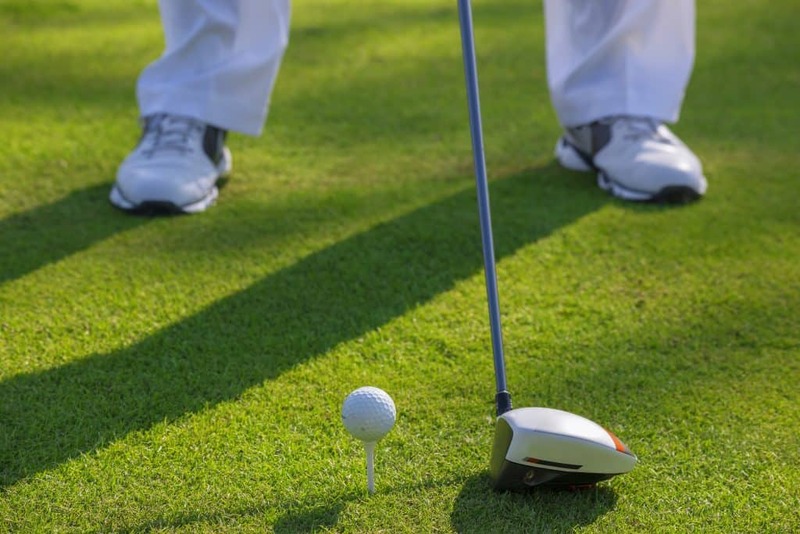 While you probably have a grasp of the terms that describe a shot that curves right (slice and fade) and one that curves left (hook and draw) the distinctions go a touch further to define what you’re really after. A slice is a shot that curves hard to the right and ends up in trouble. A fade is a shot that curves slightly to the right but is controlled. Conversely, a hook is a shot that curves hard left into the junk. Draws are controlled shots that move gently from right-to-left. What Makes a Golf Ball Curve? There are a few factors that cause a shot to curve either right or left. Chances are you slice the ball more often than you draw it. If pay close attention, your shots probably start left of your intended target before slicing. 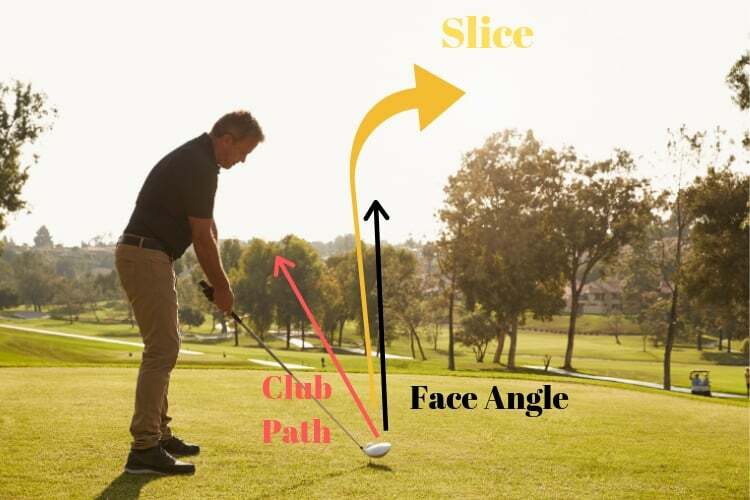 The reason slices start left is because the club is traveling on an outside to inside path (moving left to right, this being for a right-handed player) through impact. Face angle is what causes shots to spin one direction or the other. If the clubface is open at impact (pointing to the right for righties) the ball will curve to the right or slice. If the face closed at impact (pointing to the left for right-handers) the ball will curve to the left. For players that start the ball slightly right of the target and hit draws, the path is inside to out through impact. As with any shot in golf, setup is where everything begins. If you don’t get setup correct every time, you’re setting yourself up for inconsistency and unnecessary compensations during your golf swing. If you’re going to learn to hit solid shots repeatedly you have to make sure your feet, shoulders and hips are all aligned to the target, your ball position is where it needs to be and your posture is correct. When you’re setting up to any full shot, picture a train track starting at your ball and running to the target. The ball and clubface should align with the outside rail pointing directly at the target. Your feet, hips and shoulders are the inside rail and point parallel left to the target for right handed players. If your clubface and ball are not pointed at the target or your feet, hips and shoulders aren’t parallel, your chances of hitting a solid shot in the intended direction are slim. As we discussed in our article How to Hit a Driver, the position of the ball is going to vary depending on what club you have in your hands. While drivers, fairway woods and irons should be played forward in your stance, irons and wedges should be in the middle. 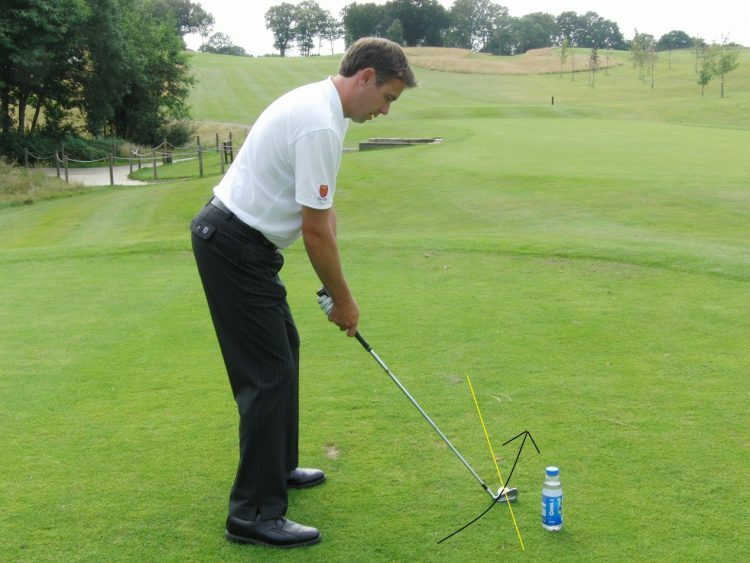 Getting the postion of the ball correct for the club and type of shot you’re playing is crucial. The golf swing is an athletic motion and having proper posture gives you a solid base and while allowing you to swing in balance. Your feet should be slightly wider than shoulder-width, your knees a little flexed and your torso tall and solid. Notice how much more athletic the posture on the left looks than on the right. One of the toughest things about the game of golf is that what you feel like you’re doing is most often a lot different than what you’re actually doing. 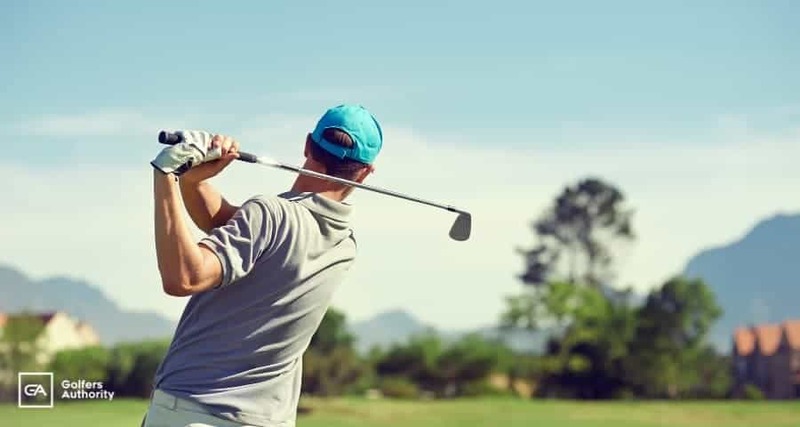 In the case of most amateur players that slice the ball, the feeling of golf swinging the club from the inside is usually a path that is either still slightly outside to in or straight down the target line. This is easy to check by taking just a few short videos of your golf swing from the down the line angle. If you find yourself struggling to deliver the club to impact from the inside, try dropping your right foot back at address. This allows you to create more room to make a full shoulder turn on the way back and for the club to come from the inside on the downswing. When you’re first starting to learn hitting a draw, make it a point to emphasize your arms swinging around body as opposed to up and down. Players that slice the ball have swings that are too vertical, creating a steep chopping motion. Moving your arms around your body creates a flatter move that has the club coming from the inside instead of the outside through impact. Next time you’re watching the Pros on television, make it a point to notice the position of their hands on the finish. Players trying to hit fades will finish with their hands level or above the head. Conversely, players trying to hit draws will finish with their hands much lower, at or just above their front shoulder. If you’re serious about learning to hit a draw instead of slice, you need to realize that it isn’t going to happen overnight. It’s going to take a lot of practice and there are sure to moments of frustration when you feel like throwing in the towel. 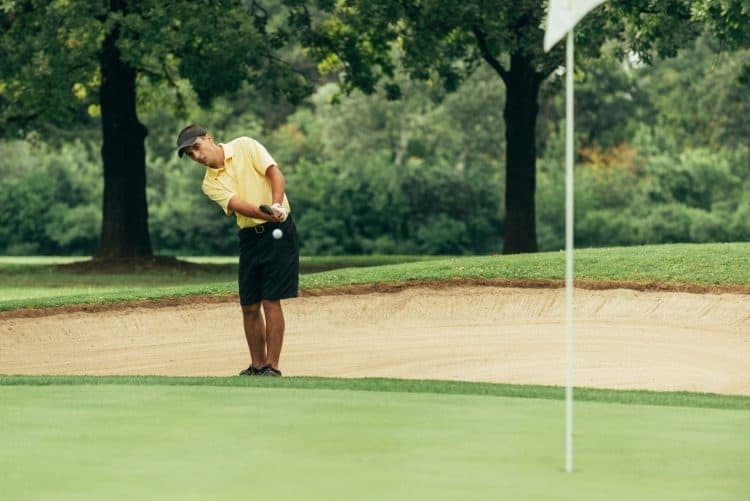 To help you get the most out of your practice, we’ve listed are best drills for creating a repeatable swing that hits the ball right-to-left. This is my all-time favorite drill because the feedback is instantaneous. All you need is a bucket of range balls and half-filled plastic water bottle. To begin, set the water bottle two or three inches behind the ball and just outside the target line. From here all you’re trying to do is swing the club from the inside without hitting the bottle. If the club hits the bottle, it’s a sure sign you’re club is moving from the outside to the inside instead of the inside to the outside. This might seem extremely awkward at first and your contact won’t be solid. That’s okay, you’re making a drastic change to the path of your swing so stay patient. Once you feel confident that your swing the club from the inside to the out, it’s time to put it to the test. Remember, a proper draw is a shot that starts right of the target and curves a little left back to it. For this drill, take an alignment rod and stick in the ground a few yards in front of your ball exactly on the target line. Once you’re set up, hit a few shots trying to start the ball to the right of the stick and watch it curve back to your target. Once again, this might take a fair bit of practice but once you can do it consistently, it’s something that you should be able to take to the course. Hitting a reliable draw is the holy grail for any player that fights a slice and wants to hit solid shots that go farther on a consistent basis. Even if you’ve mastered hitting a draw consistently, it doesn’t mean that you should fire at every flag and hit driver off every tee. 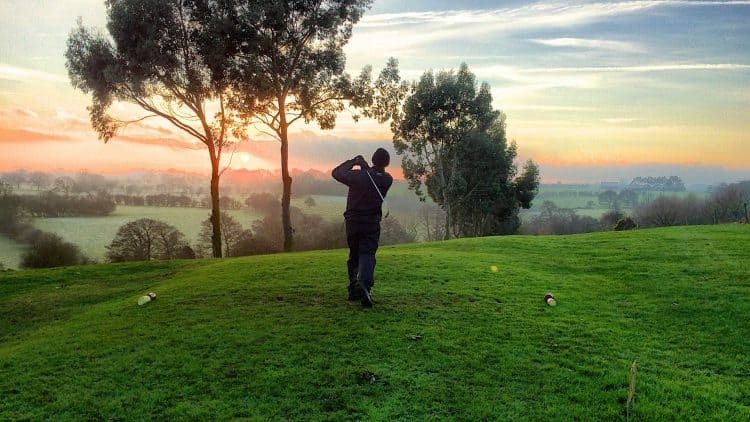 Tee shots on dog-leg right holes might not suit your eye as well as someone that plays a fade. 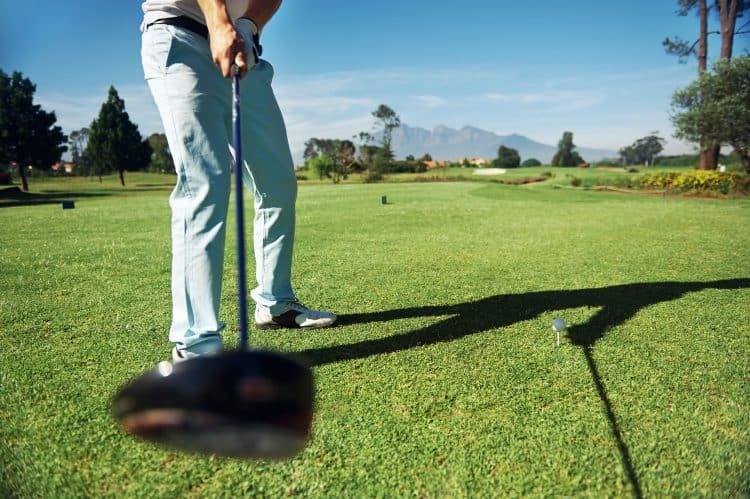 To give yourself the best chance of hitting the fairway, make sure you tee up on the far left side of the tee box. This maximizes the amount of room you have to start your tee shot down the right side and let it work back to the middle. If you feel like your driver might go through the fairway, don’t be afraid to sacrifice a little distance for accuracy and use a fairway wood or hybrid. When your tee shot finds the fairway, it’s tempting to fire your approach straight at the flag regardless of where it’s located on the green. There are some flags that are tough to get at with a draw however. A great example is a flag that is cut in the front, right part of the green over a bunker. In order to get this shot close, you have to start it out over the bunker, hope it curves back and flies the exact right distance. The chances missing this shot in a bad spot and making a big number are high. 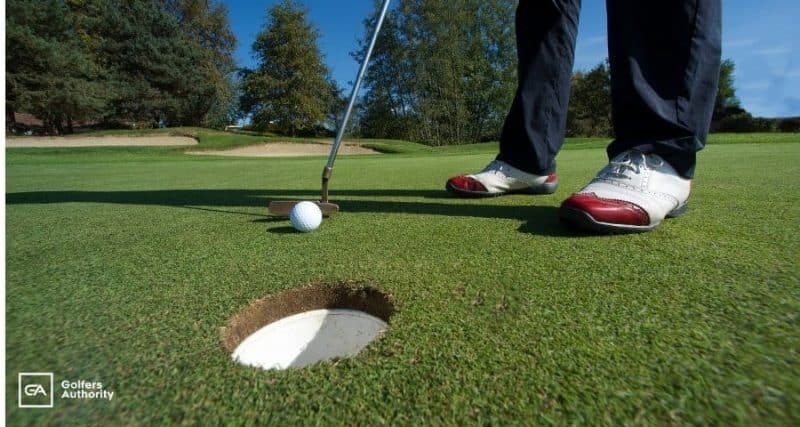 The smart play is to start your shot at the pin and let it curve to the middle of the green leaving yourself 20 or 30 feet and virtually guaranteeing an easy par at worst. 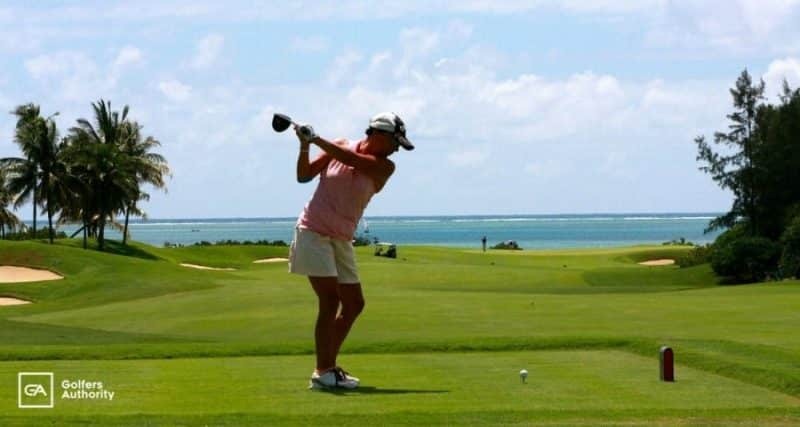 Learning to hit a draw consistently will do wonders for your golf game. 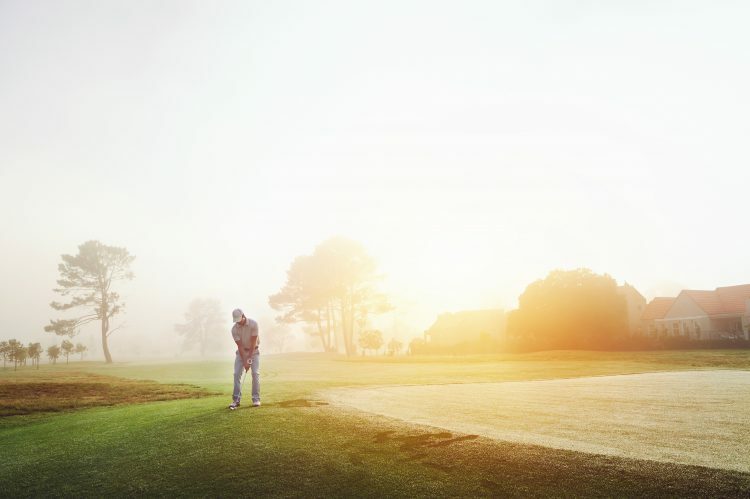 Your shots will travel farther, fight through the wind, your confidence will grow and you’re sure to shoot lower scores. The road to get there however, is one that takes time and a lot of practice. But if you’re willing to fight through occasional frustration and stay the course, you’ll come out on the other side a much more complete and consistent player. This is the year you’re going to shatter your goals. New set of irons custom fit to your swing, new wedges to stop the ball on a dime, and of course that $350 putter your spouse doesn’t know about. There won’t be any stopping you. You can already see yourself on the tee for your first round of the year, filled to the brim with anticipation. All of a sudden, you look down at your feet and notice your shoe laces don’t match and the grime on that pair of Footjoy Contours from 2002 really shows. Yep, you’re that guy, fancy new equipment with golf shoes that Bobby Jones remembers. Why Do You Need Golf Shoes? What good is having all the latest and greatest equipment if you can’t keep your feet on the ground? Golf shoes are what make your entire game possible. No matter your ability, having the proper footwear provides stability and allows you to swing at full capacity without having to worry about slipping and coming out of the shot. 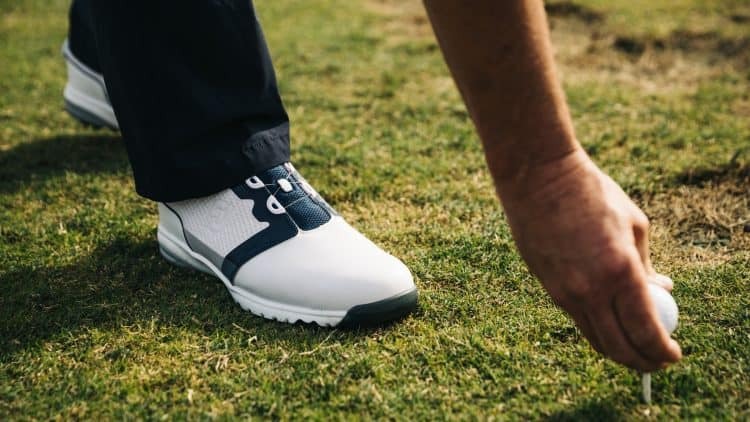 Whether you’re looking for the ultimate in performance and stability or the best in comfort and fashion, there is a golf shoe out there for you. With so many options to choose from, doing some research ahead of time is well worth it. The internet is a great place to start, but once you’ve narrowed down your choices, it’s essential you try on a shoe in person before going back online to find the best deal. Golf is an expensive endeavor. Ranging in price from less than $50 to a few hundred, there is a golf shoe out there to fit every budget. Having an idea of what you’re willing to spend will help you focus your search on a shoe that you can not only afford but that suits your every need. There is a golf shoe to fit every foot, swing style, and playing condition. Knowing the type of golf shoe that provides you the most comfort and maximizes performance will make your choice easier. Spiked or cleated golf shoes have the most aggressive traction. 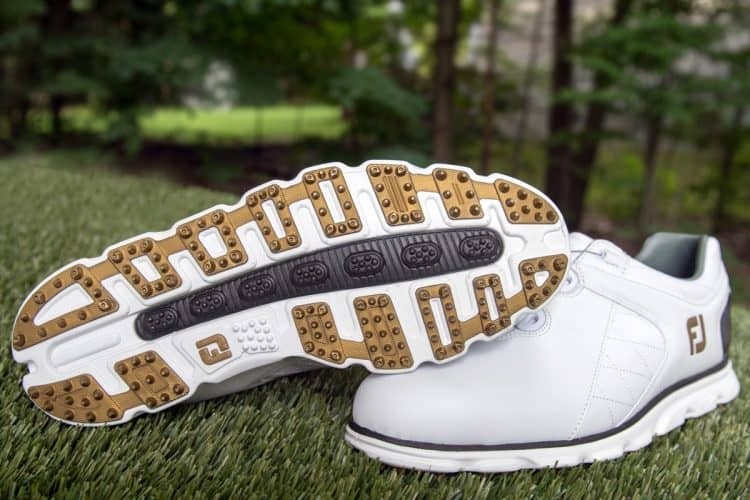 On the bottom of the shoe, plastic or metal spikes provide players a stable base and prevent slippage during the swing. While some shoes still have metal spikes, they are increasingly rare. Most modern shoes have soft spikes that are made of plastic or rubber. One major benefit of soft spikes is that they can be easily replaced. If your spikes need to be replaced, they are cheap to buy and the process takes little time. If you’re a player with a fast swing speed, spiked or cleated shoes are a great option as they provide maximum stability. 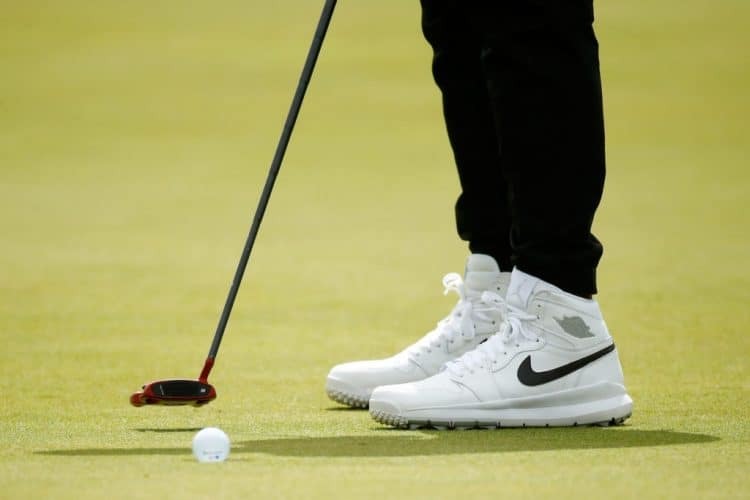 Spikeless golf shoes have become increasingly popular and are preferred by players that like to walk or find spiked or cleated shoes uncomfortable. These shoes usually have a casual look but an aggressive tread that affords stability. The advantages of spikeless shoes are that they are low profile, stylish, and are arguably the most comfortable style of shoe. They may not be the best option for players that play in wet conditions, though, as most models are not waterproof. 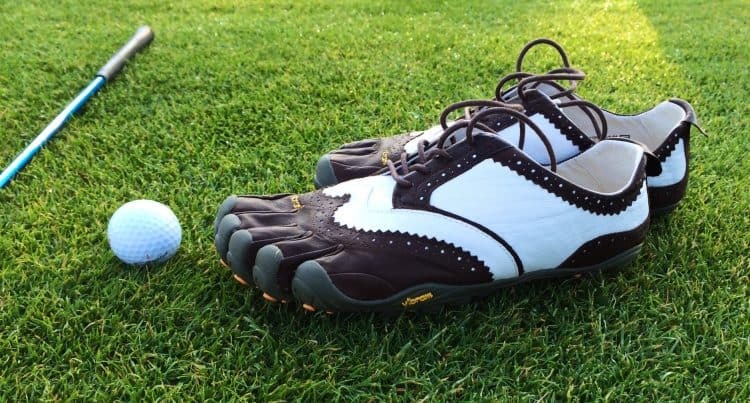 Designed for the golfer that plays in the most extreme elements, golf boot designs mirror those of hiking boots as they are high-topped and most often come with spikes. The advantages of golf boots are waterproofing, support, and stability. If you find yourself playing in wet conditions or on undulating terrain, golf boots are a great option. Golf sandals are at the opposite end of the spectrum from golf boots. Designed to provide the ultimate in comfort, golf sandals can be either cleated or spikeless. Though they lack the support of traditional golf shoes, golf sandals are lightweight and allow your feet to breathe. Some players even choose to go sockless. If you play in warm, dry conditions and you don’t often find yourself slipping during your swing, golf sandals might be the best choice. Golf shoes are made out of a variety of materials. Many modern designs incorporate multiple materials to marry performance, style, and comfort. Knowing the characteristics of each different material will aid you in making an educated decision on what shoe to buy. It’s little wonder that leather is the most commonly used material in golf shoe design. Because of its waterproof and elastic qualities, leather is found on the exterior of golf shoes. When taken care of and treated properly, leather retains its sleek look and can last for years. Though leather shoes usually cost more than shoes made of other materials, they often come with a warranty of one or two years. Golf boots and wintertime golf shoes often contain waterproof linings. Though Goretex leads the way in waterproof material, each manufacturer has their own version that is sure to keep your feet warm and dry even on the wettest of days. Waterproof material can be expensive but is definitely worth the investment if you’re often playing in wet or cold conditions. Synthetic is a cheaper version of leather that protects the outside of the shoe. The material is nonporous and even though it is thinner and lighter than leather, it may not be as breathable. If you’re looking for value and a material that performs adequately, a synthetic shoe is the way to go. Most modern performance golf shoes come with either soft or metal spikes. Depending on the conditions you play in and how much stability you need, choosing between either soft or metal spikes can make a difference. Soft or plastic spikes are the most popular spikes on the market. Soft spikes distribute a player’s weight across a wide area and are considerably less prone to tearing up green surfaces and fairways. Most players also prefer the comfort of soft spikes because the material flexes as you walk and swing. Though they are becoming less and less common, metal spikes are still preferred by many Tour pros. Because metal spikes are longer and sharper than soft spikes, they allow players with the fastest swing speeds to stay connected to the ground. Metal spikes lack the forgiveness and flexibility of soft spikes and players with tender backs or feet may not prefer them. If you’re going to play in metal spikes, it’s important to make sure they are allowed as many courses have adopted policies prohibiting them. As the golf shoe has evolved over the years, so too has it lacings. Traditional shoe laces are still preferred in golf shoes. The flexibility and ability to exact the fit of your shoe is hard to beat. Many shoes come with extra sets of laces that are different colors allowing you the option to choose the sharpest look. 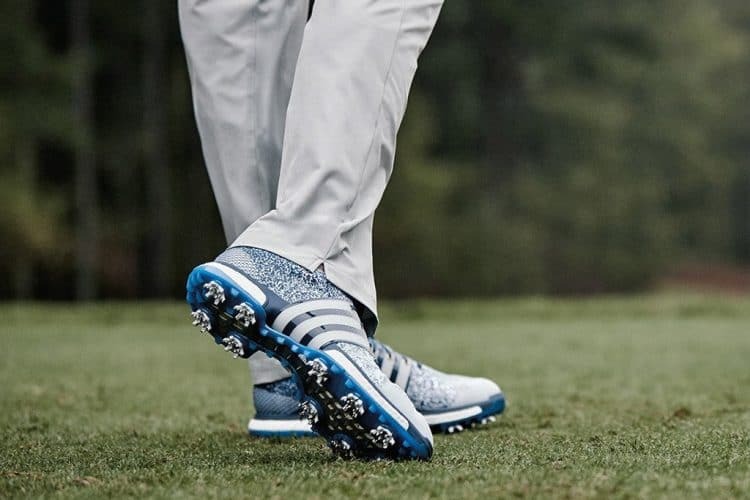 Mechanical lacing systems are gaining popularity with golfers. With designs that mirror that of ski boots, mechanical lacings allow a golfer to adjust tightness with the simple turn of a nob or adjustment of a Velcro strap. The advantages of mechanical lacing systems are consistent stability throughout your round and never having to worry about re-tying your laces. There are countless options when it comes to choosing the right golf shoe. While one pair might look the part, you may find them uncomfortable or prohibitively expensive. Below are some questions to consider when finding the best golf shoe for your game. Q: How do you put golf spikes on your golf shoes? A: Though likely included with the purchase of new spikes, some players may prefer to install fresh spikes themselves. This simple process requires a spike wrench. Before you go purchase the first spike wrench you find, make sure it fits the spikes you’re trying to replace as different spikes and manufacturers require different wrenches. If you wait too long to replace your spikes, getting them out can become difficult since dirt can cause clogs making spikes nearly impossible to remove. Q: How do you clean golf shoes? A: If you want your golf shoes to last a long time, it’s important to clean them on a regular basis. Doing so requires only a bucket of hot water, soap, a bristle brush and a clean towel. To begin, wet the towel and thoroughly wipe down the exterior of your shoes. If there is still grime in the creases, dip your brush in water and gently scrub these areas clean. If you want to keep your leather shoes looking pristine, a small investment in the appropriately colored shoe polish goes a long way. To shine your shoes, apply a liberal amount of polish to the surface and gently rub it in with a clean brush. In order to ensure the integrity of the shoe’s shape and fit, putting a shoe a shoe horn on the inside is an excellent idea. Q: How do you waterproof golf shoes? A: Waterproofing your golf shoes is a necessity if you regularly play in wet conditions. First, make sure your shoes are clean and dry. Next, select a waterproof spray that is leather-friendly and apply a healthy coating to the entire exterior of the shoe. Wipe off any excess liquid and let your shoes sit overnight in a warm space to dry. Once dried, run water over the exterior of the shoe to make sure they are waterproofed to your liking. It’s vitally important to make sure that your golf equipment is up-to-date and fits your game. If you’re going to play your best golf, you can’t afford to leave any stone unturned. While it’s easy to get caught up in clubs, range finders, and other necessities, you must realize that everything is irrelevant if you don’t have a stable base from which to swing. Take the time to do the appropriate research for the right pair of shoes and your golf game will thank you for it. If you are a player that dreams of hitting high flying drives of over 300 yards then you are not alone. If you, like many, do not have the time or energy to spend long hours in the gym or with speed training devices on the range, then this article is for you. Finding ways to improve your driving distance doesn’t start in the gym, it starts with understanding what makes long drivers so efficient. These 5 simple steps will help you hit longer, straighter drives without picking up a single weight or doing a single stretch. 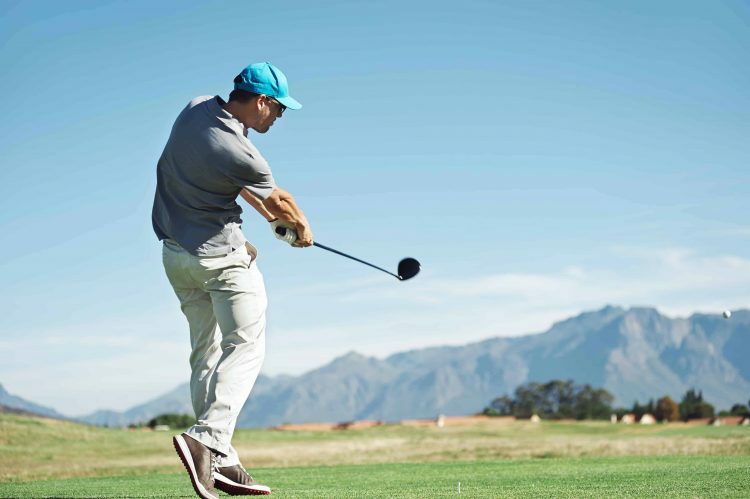 If you feel like you are leaving yards on the course from drives that slice violently or see shots continuously falling short of where you think they ought to be, then these 5 tips can make a difference in your game. 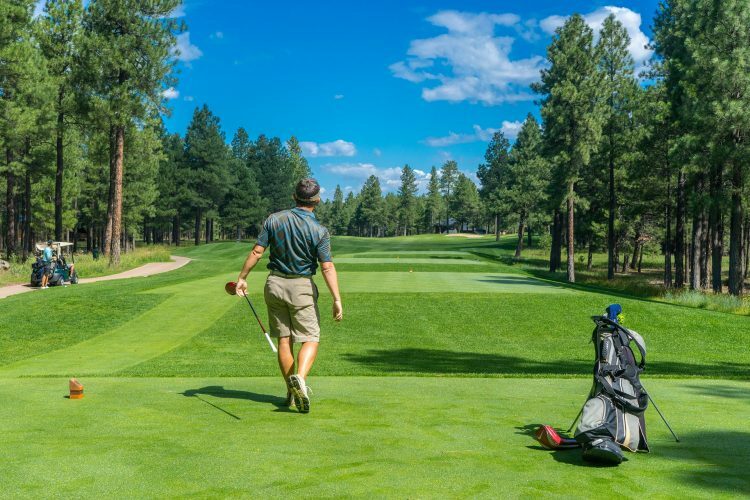 While it is true that PGA Tour players like Rickie Fowler, Dustin Jonhson, Tiger Woods, Jordan Speith, and Brooks Kopeka have fast speeds that not everyone can achieve, the efficiency off the tee box can be mimicked and that can lead to you picking up 10, 20, or even 30 yards off the tee box. Understanding how far you should be hitting the golf ball is a crucial part in maximizing your distance. See the United States Golf Association (USGA) and the R&A set performance standards and limitations on golf equipment companies and the states of golf club equipment. Currently, the maximum efficiency ratio that drivers can create is 1:1.5. 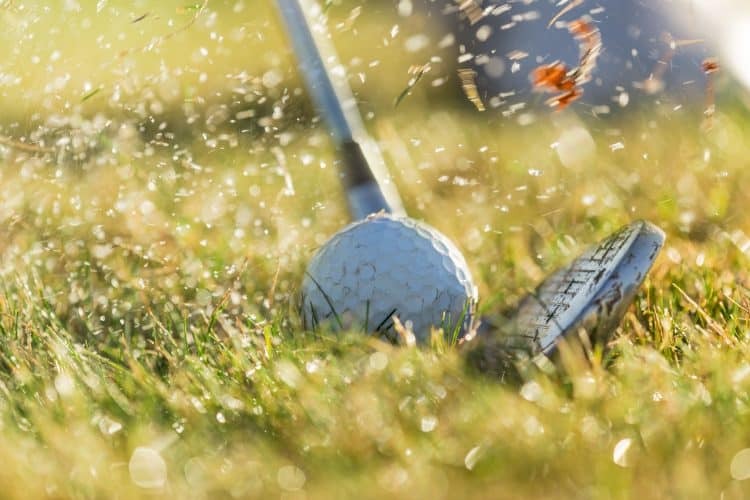 In its simplest form, that ratio means that for every one mile per hour of speed you produce, your driver can give you up to 1.5 miles per hour of ball speed. The average male swing speed is currently around 90 miles per hour, mph, and should produce a ball speed of near 130 miles per hour. 130 mph ball speed should yield a total distance of over 250 yards. If 90 mph clubhead speeds sound like you, but your driver is not giving you well over 200 yards of performance, then you are leaving distance on the table without the need to improve your fitness level or swing speed. A proper setup with your driver can lead to instant performance improvements. In an effort to find the fairway more often, golfers tend to set up with their driver in much the same way they do with their irons or wedges. Because the driver shaft is longer and the golf ball is resting on a tee rather than the ground, player’s setup positions need to change. Players should try playing the golf ball just inside of their front foot and as they grip their club, they should feel their trail shoulder work below their forward shoulder creating a tilt in their spine. This ball position and spinal tilt will set the foundation for the following four steps. 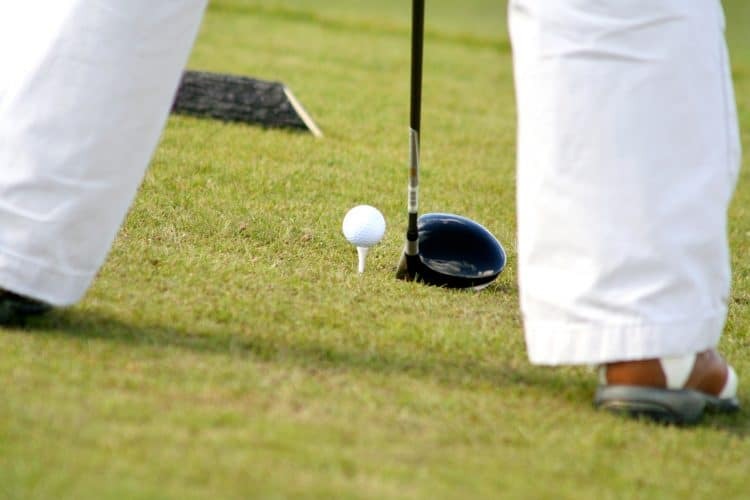 With the golf ball near your front foot and forward of the center of your body, you will be naturally inclined to hit the ball with a club path that is traveling upward and away from the ground at impact. 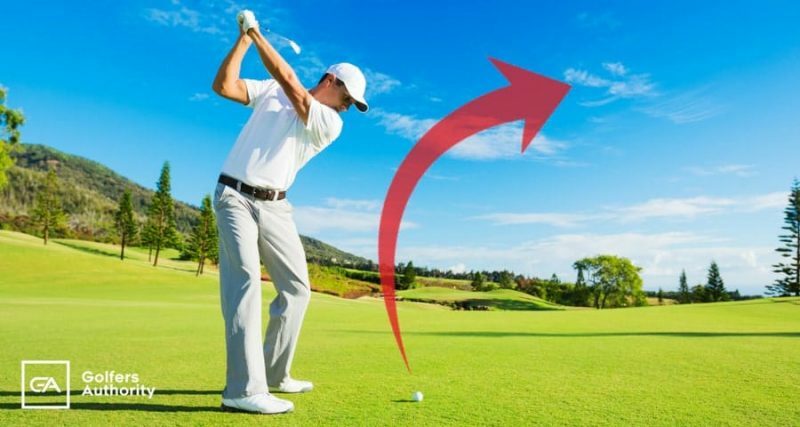 An upwards angle of attack often referred to as a positive angle of attack, helps to launch the golf ball into the air and reduces spin for longer shots that roll further once they come down. Draws do not automatically go further than golf shots that fade, however, the club characteristics that help players hit a draw most often lead to longer shots and more golf ball roll out. For a right-handed golfer, a draw is achieved when the club is traveling on a path that is more rightward of the golf club’s face during impact. This difference in face and golf swing path angle will tilt the golf ball to the left and cause the golf ball to draw back towards target. For left-handed players, they should see a club face that is slightly right of a leftward moving golf club. Club faces that are “closed” to club paths often result in golf shots hit with less club loft, less spin, and longer carry distances. Where you strike the golf ball on the club face will have a large impact on where the ball flies, how much spin it has, and which direction it curves. Even under identical swing conditions, differences in strikes can make the ball draw, fade, launch higher or lower, and spin more and less. The longest drives are actually struck slightly higher on the driver’s face. This higher impact location increases the club’s effective loft and produces a higher launching golf shot with less spin. Spin is reduced by what is referred to as the gearing effect often associated with golf shots not hit in the geometric middle of the club’s face. Swing changes can be difficult. Luckily, golf equipment manufactures, and club fitters have unique tools that can help alter standard drivers to fit your individual golf swing characteristics. Loft, lies, centers of gravity, and face angles can all be altered to give you a club that helps you hit it longer, higher, and straighter. Going to test different model drivers or making changes to your current gamer can create lasting impacts on your confidence and driver performance. 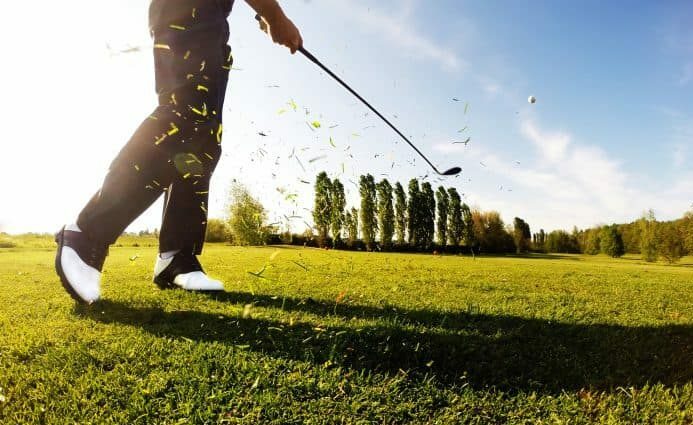 Although not everyone can swing the club at 120 miles per hour, everyone can get the most from their golf swing speed. Players that find themselves swinging at speeds higher than their current driving distances reflect can greatly improve their performance off the tee by doing the 5 steps above. Without a doubt, advances in club fitting techniques and driver technology can go a long way in helping you hit more fairway and giving your shorter irons into greens. In today’s modern game, driving the golf ball a long way is no longer a luxury, it is a necessity. Making small changes to your setup, swing, and current driver can cause a dramatic shift in your current driving statistics. Thanks for reading and check back later for more golf tips and tricks. Let’s be honest we all slice the ball, and when we do it can be ever so be frustrating. The unfortunate reality is that slicing the ball is very common and a majority of golfer’s struggle with it each year. However, the truth is that a slice can really hurt your golf game. This is because a slice can cause you to lose accuracy, distance, and most importantly your mental game. 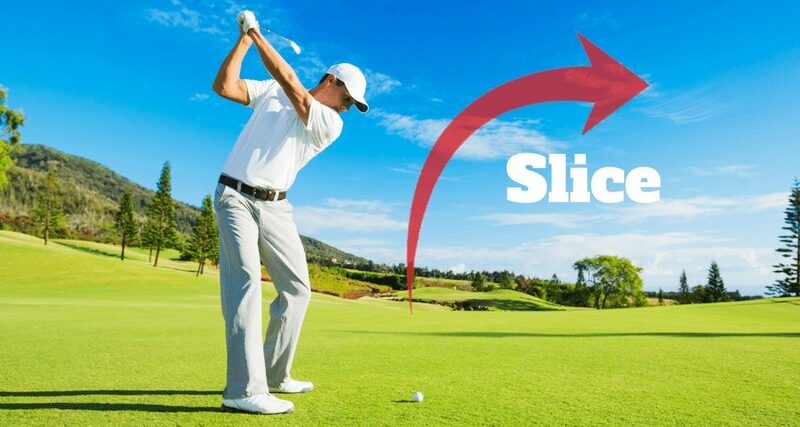 But don’t worry we created this guide to help you get rid of your that pesky slice, and with a few simple changes you too can begin hitting the ball straight and far down the fairway every time. What Exactly is a Golf Slice? For right handed golfers a slice is really any shot that curves very hard to the right when in the air. For left handed golfers it is flipped, and it occurs when a shot curves very hard to the left when in the air. 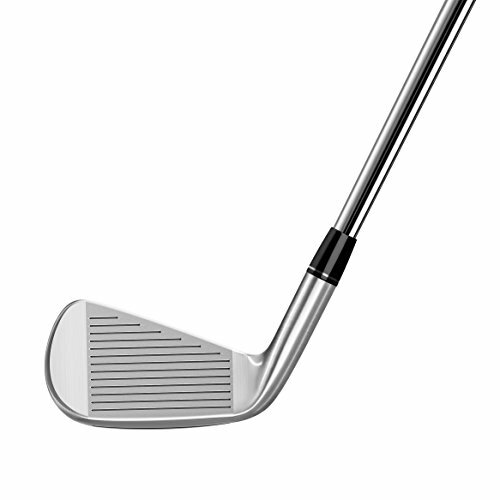 The slice occurs when a golfer has poor grip on the club, an improper setup, and an outside-in swing path. What is an outside-in swing path? 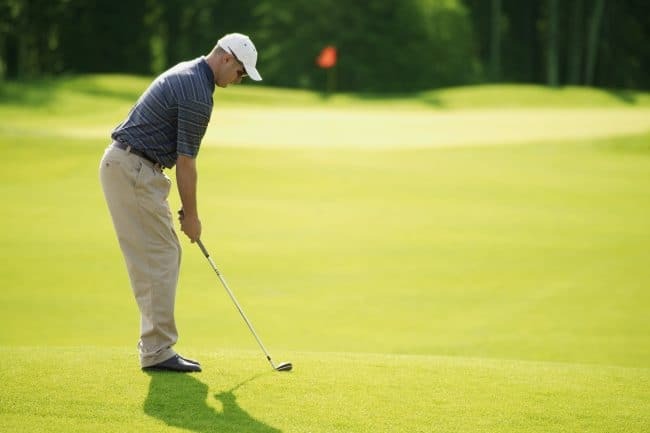 This is when the golfer reaches too far out on their down swing, which then causes their club to come down on the outside of the target line of the ball. When this occurs it forces the golfer to pull the club head in closer into them in order to hit the ball. Which in turn causes the club face to point to the right of the target at impact. Many golfers who are slicing the ball are using the wrong driver. 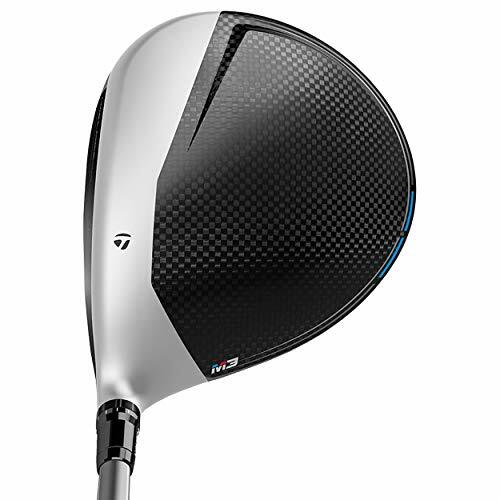 Instead of using a driver with a greater loft of the club face, they are using a driver with very little loft. Many amateur golfers are not aware that there is a very clear relationship between the length and loft of a club to its accuracy. The longer and less lofted a club is the greater the chance that you will not hit the ball straight. A perfect example of this relationship can be found with the driver. 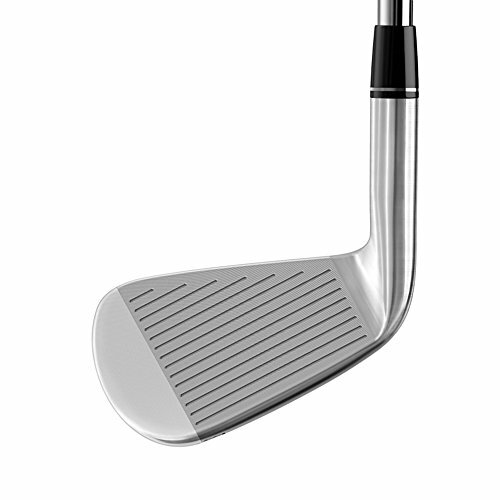 A driver’s shaft length is usually between 43-46 inches long. This greater shaft length will produce a significant amount of “lag” during the downswing. This “lag” is caused by the club head trailing behind the handle of the club due to the flexing of the shaft. So, the longer the club shaft, the longer it will take for the shaft to unflex and the longer it will take for the club face to not trail behind the handle. If this “lag” remains at the time of impact, the clubface will be open and cause a slice. As for loft, a degree or two can make a huge difference. The more loft on a clubface, the more time until the hitting area reaches the ball. This gives the golfer precious time to square up the club before impact. Most divers have just 9-12″ of loft, so there is very little room for error. Many golfers who are slicing the ball are using the wrong driver. 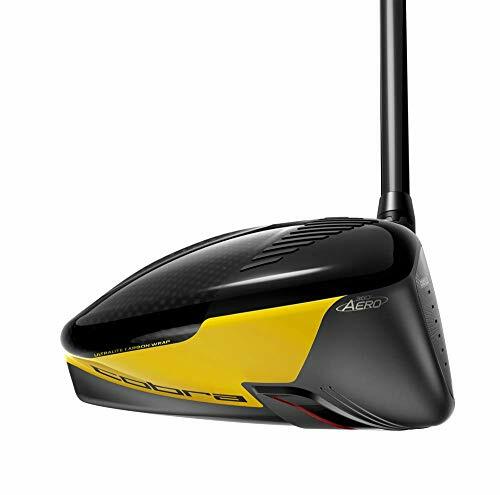 Instead of using a driver with a greater loft of the club face, they are using a driver with very little loft. Many amateur golfers are not aware that there is a very clear relationship between the length and loft of a club to its accuracy. The longer and less lofted a club is the greater the chance that you will not hit the ball straight. A perfect example of this relationship can be found with the driver. If you are not sure if you are holding the golf club properly, here is an exercise that can help. Golf slices also occur because many amateur golfers do not grip a golf club correctly. They either grip the golf club too strong or too weak. A proper golf grip is one of the best ways you get more control over your shots. Note: For players that are right handed, grip the club in your left hand first. This will be opposite if you are a left-handed golfer. 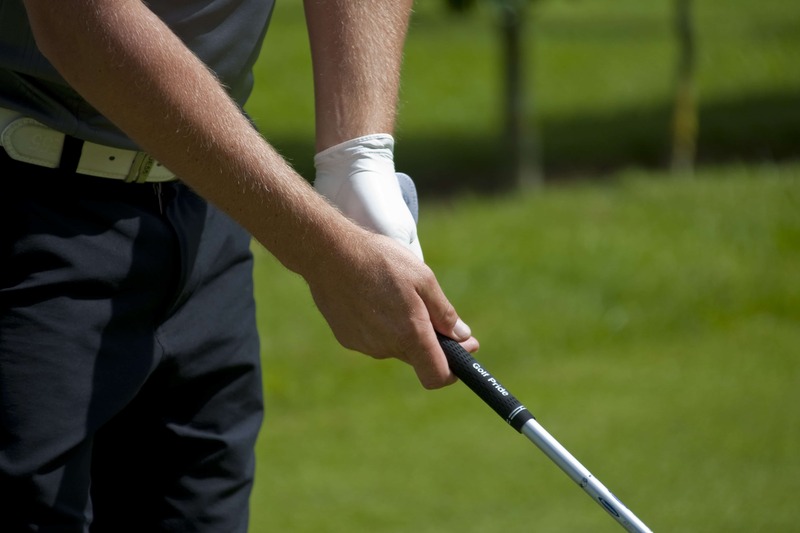 Position the grip of the club mainly on the fingers of your left hand. 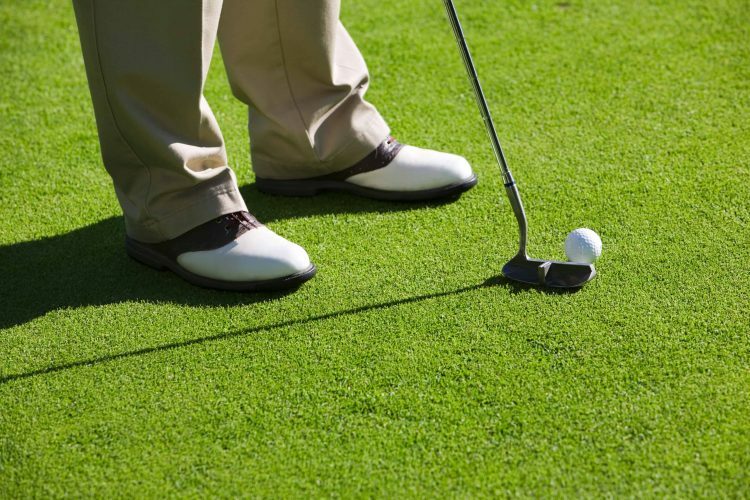 With the golf club on the ground, you should be able to see at least two of the knuckles on your left hand as you look down the shaft of the club. Now to help remedy your slice you should try to see at least three of your knuckles on your left hand instead of two. The “V” formed by your left index finger and thumb should be pointing towards your right shoulder. Now place your right-hand grip on top of the left so that they complement one another. There you have it, the proper way to hold a golf club. This type of golf grip will help you keep the face of the club in the correct position all the way through impact with the golf ball, and will contribute significantly to eliminating your slice. Make sure you are gripping the golf club correctly. 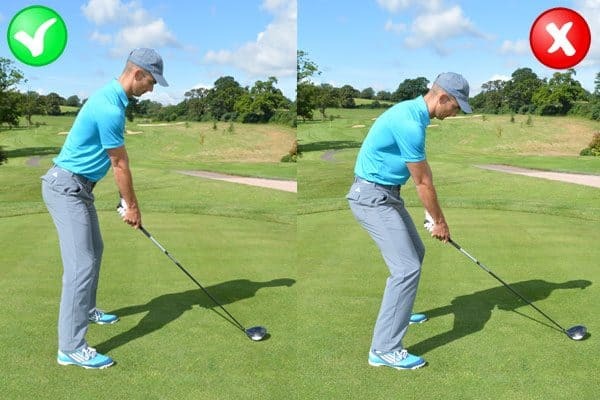 Get in your normal golf stance and set the ball just inside your front heal. Place the club head in front of the ball, not behind as you would normally. Make a slow circle with your hands, swinging the club toward the ball and then over the ball. Only focus on making a nice circular loop. Once you have Step 1 down, you can now incorporate the shoulder turn. To begin, start with the clubhead behind the ball not in front of the ball like we did in Step 1. Lift the club over your head until your hands are now in front of your face. Turn your shoulders back, and while keeping it on the plane you have established swing it over the ball. Once you have Step 1 and Step 2 down, it’s now time to go from practice drill to a real golf swing. Lift the club into a 2/3 position backswing with your left arm in front of your chest. Then make a full backswing turn and go from swinging over the ball to actually hitting the ball. 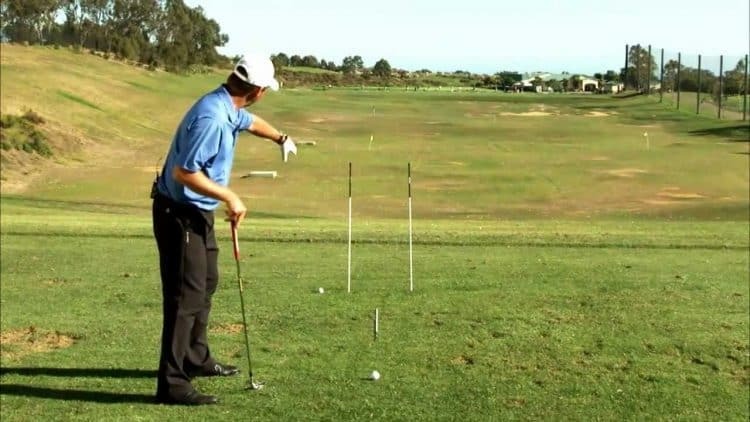 As you practice you will feel the backward loop from Step 1, and you should start to see a right-to-left ball flight. 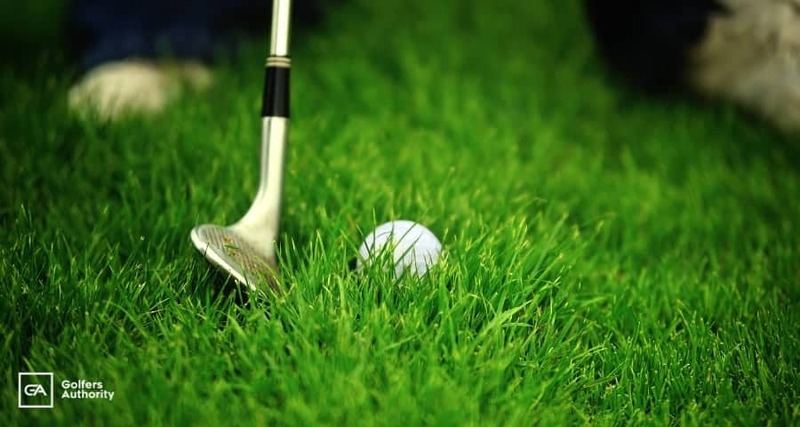 Golf is a great and slicing the ball is quite common for all golfers, and can really take a tole on your mental game, especially when on the tee box. However, by using the above techniques you too can begin to have better control over your shots, and hit the ball straight each and every time. Tiger Woods is one of the best golfers in the world and arguably the greatest player of all time. As of 2018, Tiger has won 79 PGA Tour titles, including 14 major championships. Tiger Woods is still an amazing player, and slowly making his way back to playing great gol. In our “What’s in the bag?” series (or “WITB”) we highlight the best clubs and gear that professional players are currently using in their bags. 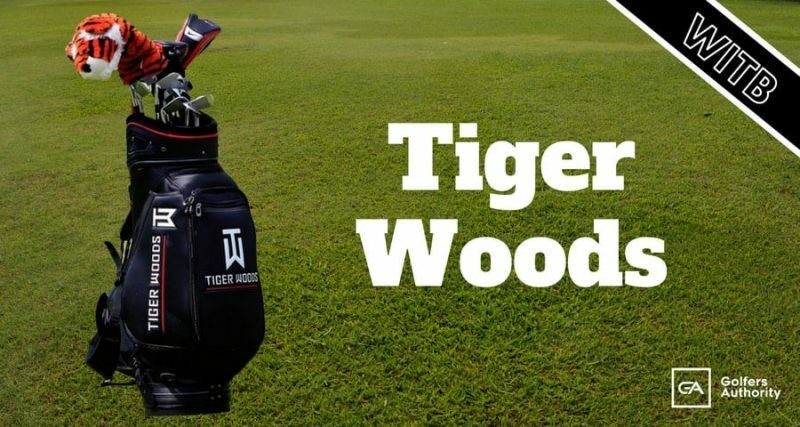 So, if you are currently looking to take your golf game to the next level, then take a look at what’s in Tiger Woods’ bag. 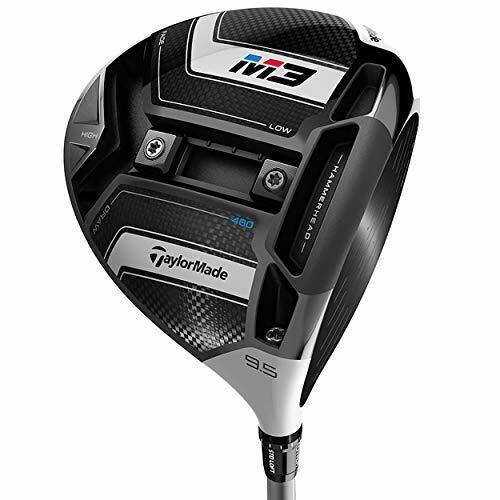 The TaylorMade M3 driver utilizes its innovative Twist Face technology engineered to reduce dispersion and deliver straighter tee shots. Twist Face technology also increases loft in the high-toe and less loft in the low-heel for more consistent spin where all golfers commonly miss-hit. 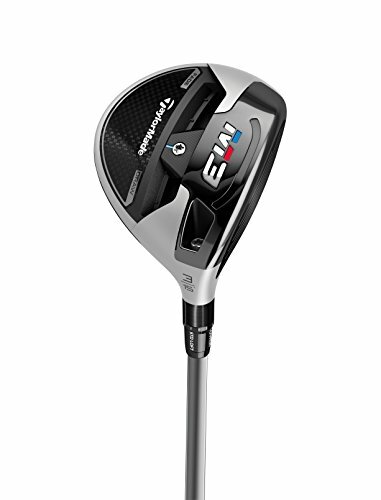 The M3 also features a Hammerhead Slot which enhances the sweet spot and increased ball speed for more distance while the Y-Track system allows you to move weight and adjust your settings for optimal trajectory, maximum forgiveness, or explosive distance. The wide sole channel delivers more distance by flexing at impact, acting as a springboard to launch the ball off the face with higher speed. 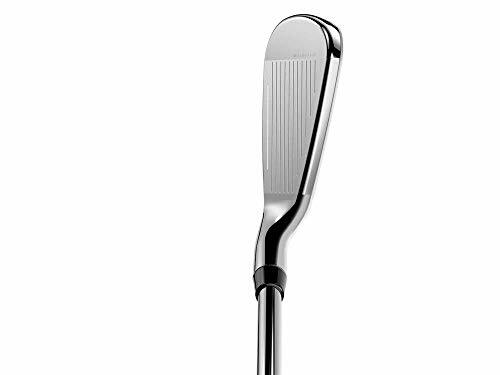 The face insert is comprised of a thick center and radially thin perimeter is located in the heel and toe of the club which helps to deliver greater distance on off-center hits. Sixteen unique loft and lie combinations offers players with the perfect combination to customize their driver to their liking. 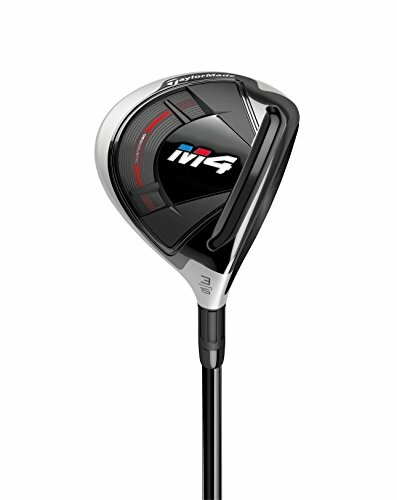 The TaylorMade M3 fairway wood features a lighter 5-layer carbon crown and sole with 8g of weight that has been repositioned for a lower more powerful CG location. The lengthened Speed Pocket provides more flexibility and more ball speed low on the face while the new track overhang delivers precise and consistent turf interaction for improved playability from just about any lie. 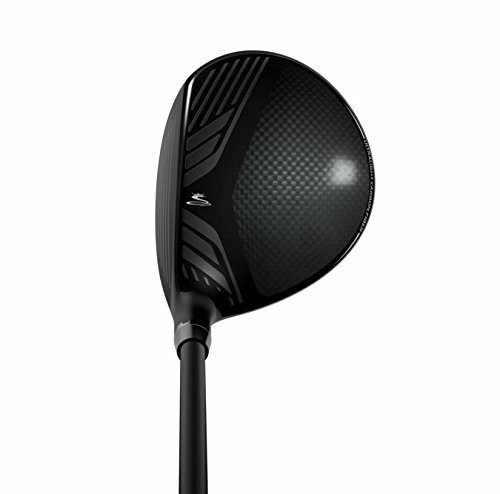 The TaylorMade M1 2017 fairway wood is one of TaylorMade’s longest and most adjustable fairway woods available today. A 6-layer carbon composite crown lowers the center of gravity for optimal launch while the redesigned sliding weight track has one 25g tungsten weight which can be altered for personalized shot shapes ranging from draw, neutral and fade. 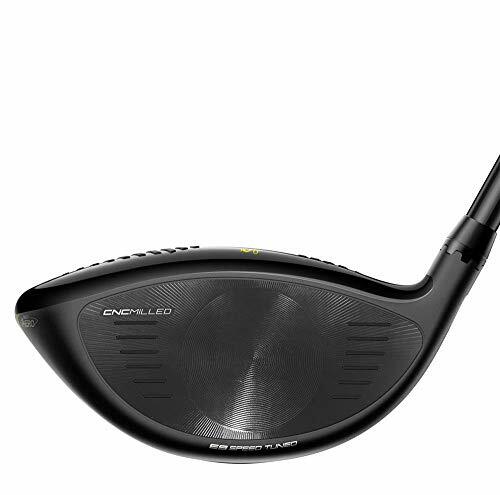 The M1 2017 model features an improved open-channel Speed Pocket to generate distance without sacrificing forgiveness. Lighter 5-layer carbon crown and sole moves CG lower and deeper, increasing launch. 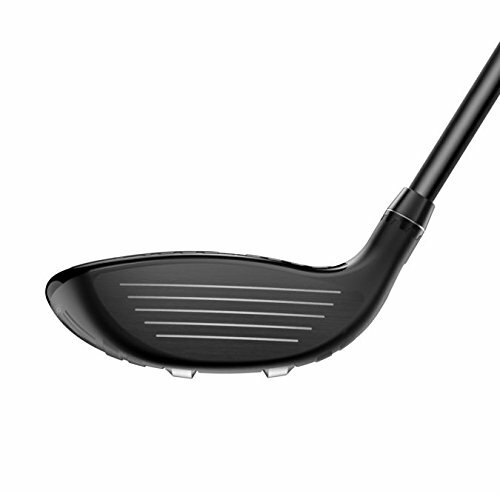 The lengthened Speed Pocket provides increased flexibility and more ball speed low on the face. New weight track on the sole has a 25-gram weight for more adjustability and has more overhang for better turf interaction. 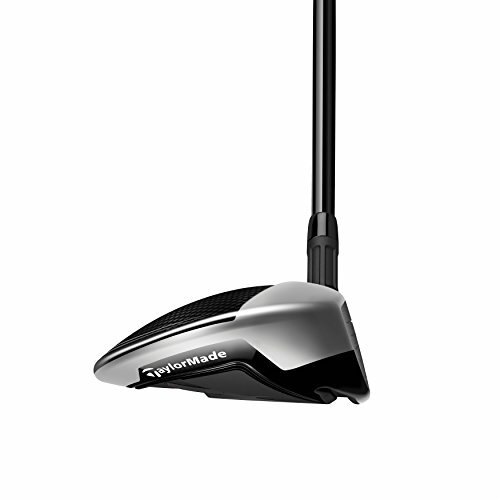 When the TaylorMade Tour Preferred UDI is in your bag, tee shots and long approach shots have never been easier. Created to generate strong, playable trajectory with unmatched control off of the tee or from the fairway. 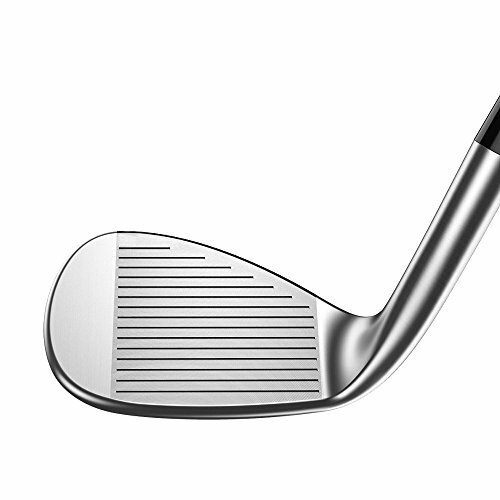 The hollow construction, welded with a 455 carpenter steel face, provides a lower CG and higher ball speed. 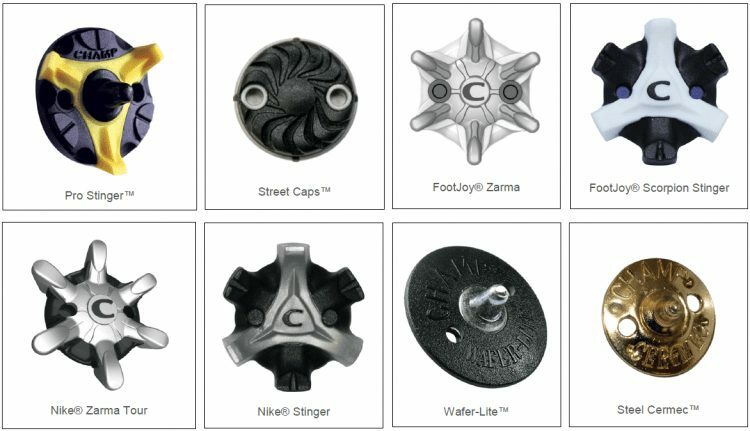 Specially designed dampener system creates the ultimate in sound and feel. 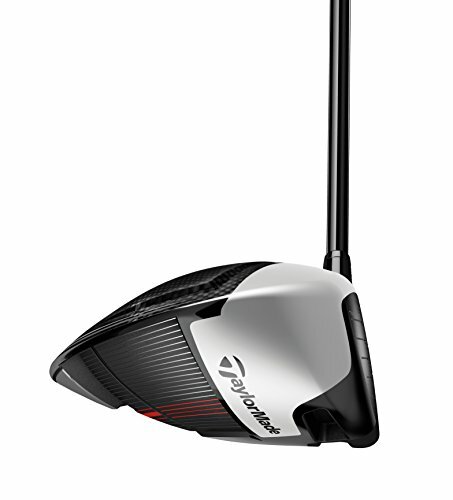 While it is difficult TW-Phase 1 is impossible to find, a comparable club would be TaylorMade P-790 (See Above). Debuting at the Wells Fargo Championship in May 2018, the new TaylorMade TW-Phase 1 Prototype irons in Tiger Woods bag look similar to the blade irons he’s played most of his career. Hopefully in the near future, these beautiful golf clubs will be available to the public. Strong, playable trajectory perfect for tee shots. Optimum control off of the tee or from the fairway. 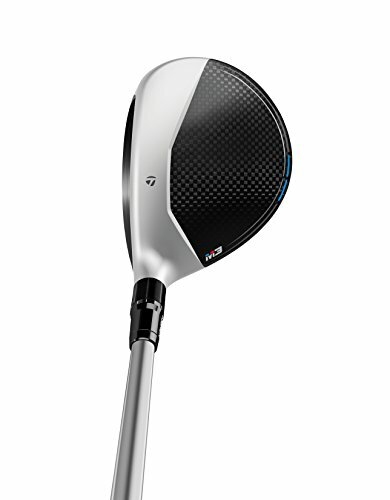 Hollow construction matched with a strong, thin 455 carpenter steel face for incredible distance. The TaylorMade Milled Grind wedges set a high standard in precision, featuring up to 3 different bounces for a given loft. The CNC machined sole geometry coupled with a precise leading edge, this wedge inspires a lot of confidence at address. New ZTP-17 grooves and a precision weight port combine to lower CG which maximizes spin and gives you incredible control around the greens. The Low Bounce is designed for firm turf and sand conditions, and a shallower swing. The Standard Bounce is designed for moderate turf and sand conditions and for players with a standard swing. The High Bounce is designed for soft turf and sand conditions, and steeper attack angles. The TaylorMade Hi-Toe wedge offers incredible versatility around the greens. Designed to produce a lower launch and more spin, it features a sole cavity with three trapezoid-shaped pockets to optimize weight distribution. Full-face scoring lines ensure consistent ball contact out of the rough while the high bounce leading-edge with increased belly offers less resistance for improved contact from turf or sand. The Hi-Toe wedge also has a Channel Cut Mid-Sole which prevents excessive digging. Deeper bore and shaft insertion allows weight to be removed from the hosel, increasing performance. 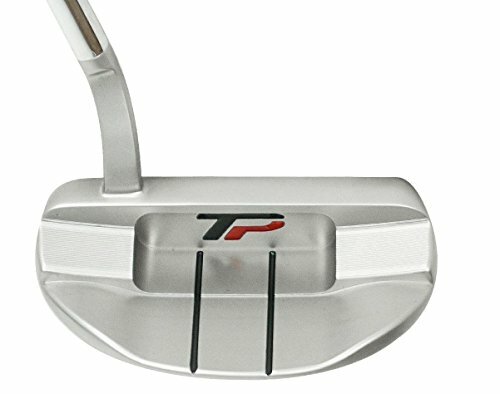 ZTP-17 grooves provide maximum spin from tight lies as well as wet rough. 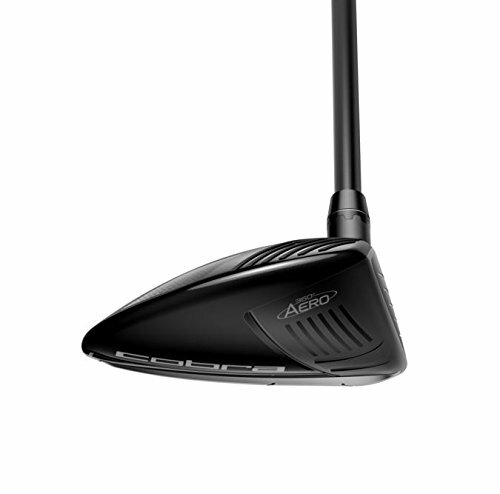 More centrally located center-of-gravity improves feel and forgiveness. 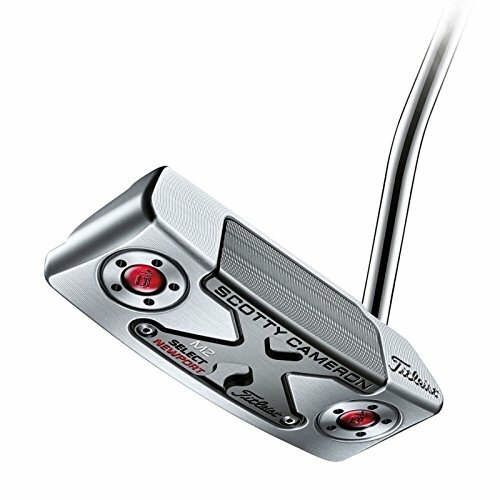 The Titleist Scotty Cameron Newport 2 Dual Balance putters start with a 400 gram, precision milled 303 stainless steel body. A modern blade design combined with crisp back angles and a single sight line head design make alignment easier than ever. A 50 gram counterbalance weight located in the grip end combines with the heavier head design to give the player a precise counterbalanced feel. 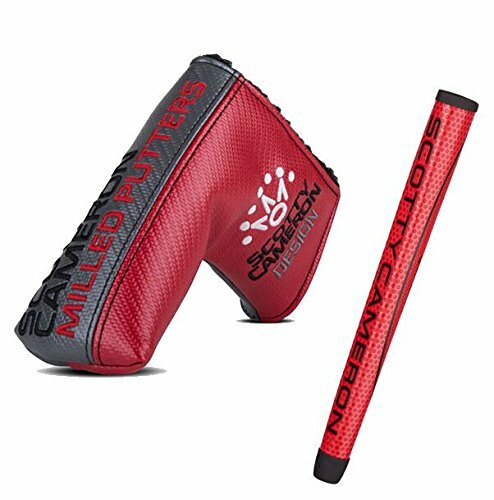 Additionally, the milled face provides a soft feel and sound while the stainless steel finish and the red-dot graphics create a modern appearance. 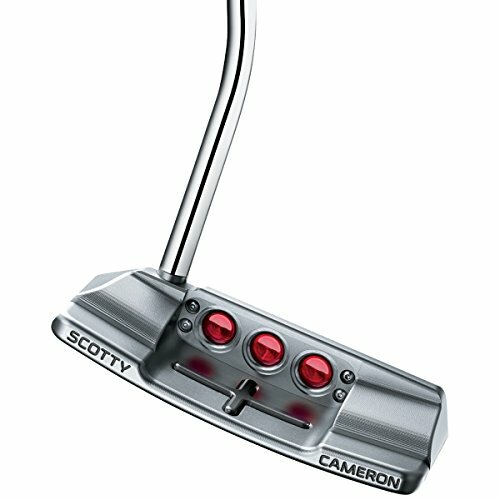 The Newport 2 putter provides the very best in stability while delivering soft feel and a great roll. 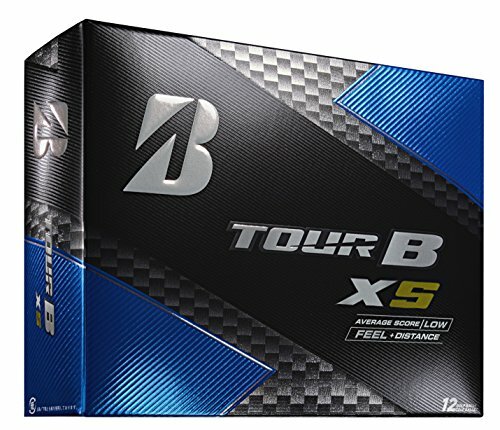 Available in 33", 34" and 35"
The Bridgestone Tour B XS golf ball is designed to help every golfer gain control, distance, and a decisive advantage over the competition. An improved 330 Dual Dimple design and gradation core construction provides increased ball speed for greater distance while the softer urethane cover enhances feel on every shot. The Tiger Woods Edition features premium custom packaging and Tiger’s logo on the ball just like the man himself plays with. 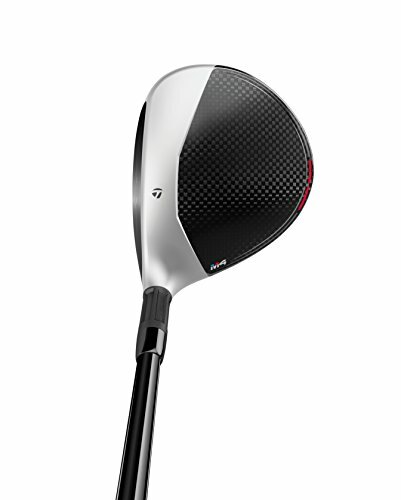 A Gradational Core provides faster speed and reduced spin off the driver. Innovative SlipRes Cover provides durability and a more stable hit. Tiger Woods is one of the best golfers in the world and uses some of the best clubs and equipment in the game. However, as you can see from our WITB review, Tiger is not using that latest and greatest in the golf industry. Rather, he uses clubs and equipment that he has found helps him play to the best of his ability. So, if you are looking to improve your golf game, take a look at what’s in Tiger’s bag. You may find something that will help you take your game to the next level. Rickie Fowler is one of the best golfers in the world and is one of our favorite players to watch. As of 2019, Rickie has earned five PGA Tour titles, including the 2019 Waste Management Phoenix Open. Rickie Fowler is an amazing player and a fan favorite, with the potential to be one of the game’s best players. In our “What’s in the bag?” series (or “WITB”) we highlight the best clubs and gear that professional players are currently using in their bags. 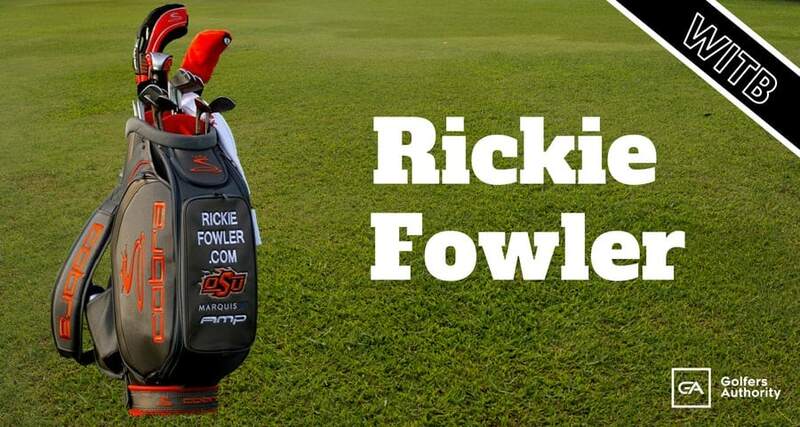 So, if you are currently looking to take your golf game to the next level, then take a look at what’s in Rickie Fowler’s bag. 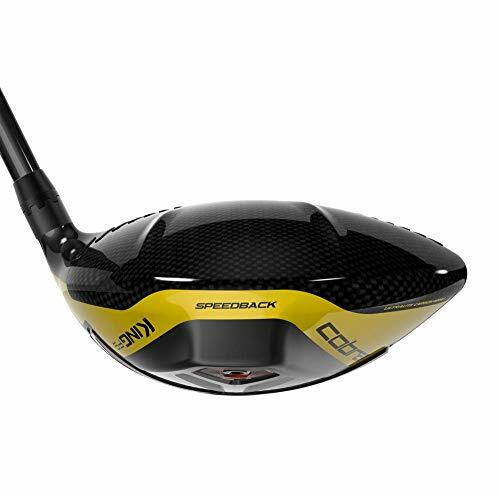 The Cobra King F9 Speedback driver is by far one of the fastest and longest Cobra drivers ever produced. 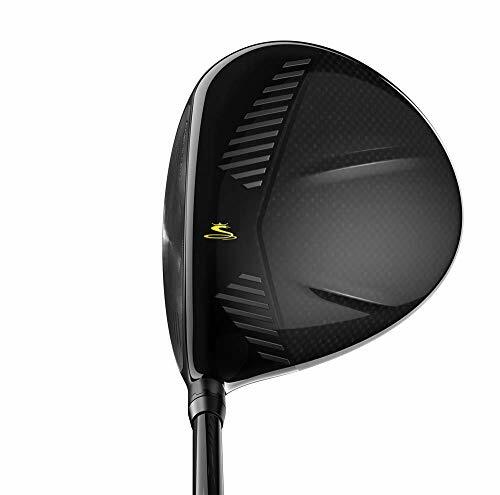 With its all new Speedback technology, the Cobra F9 is the first Cobra driver to ever combine a raised skirt, rounded crown, and rounded leading edge. Working in unison, these innovative designs allow for greater airflow over the clubhead, thus allowing the player to have greater club head peed, stability, and control. 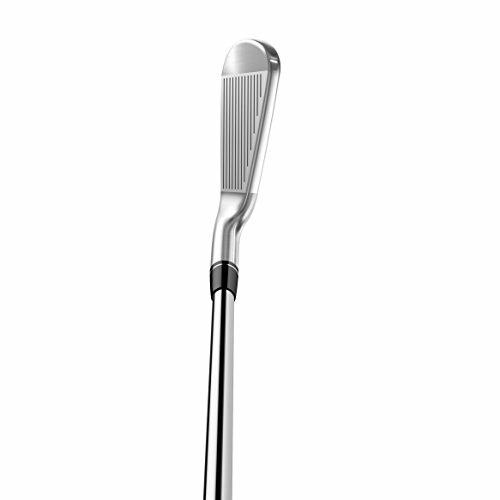 The Cobra F9 Speedback also incorporates a tungsten weight structure that allows for a low deep center of gravity. Combined with the enhanced aerodynamics, the Cobra F9 is optimized for greater ball speed and lower spin, thus giving the player more distance. Furthermore, by having a CNC milled club face, it ensures a thinner and hotter face to increase ball speed and distance. While, the Dual Roll Technology optimizes launch and spin for shots hit both high and low on the face. CNC Precision Milled Face designed to increase ball speed and forgiveness across the entire club face. Speedback Technology allows for true optimization of aerodynamics and low center of gravity. 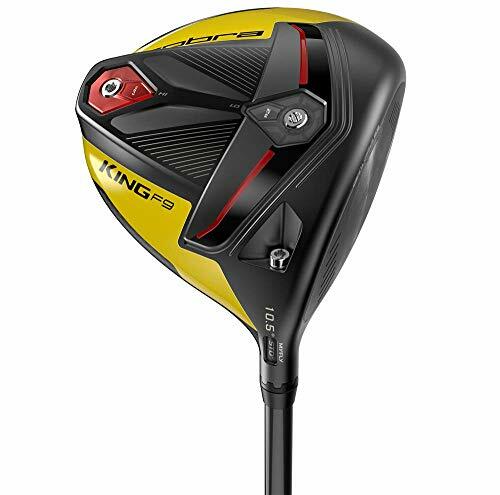 Speedback Technology-King F9 Speedback driver is the first of its kind to achieve true optimization of aerodynamics and low CG, making it the fastest, and longest COBRA driver. 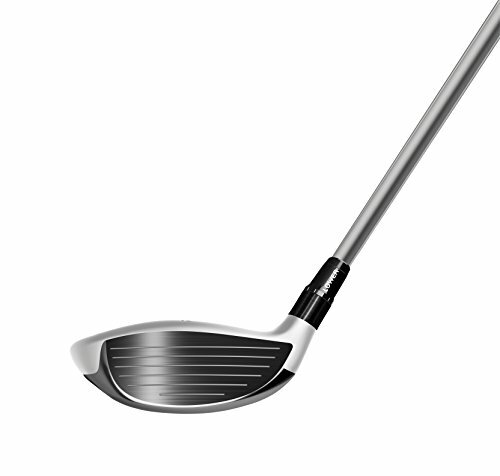 Speedback Aero Design-Speedback Technology delivers a highly aerodynamic clubhead design, and is the first to combine a raised skirt, rounded crown and rounded leading edge to improve airflow for maximum speed and stability. 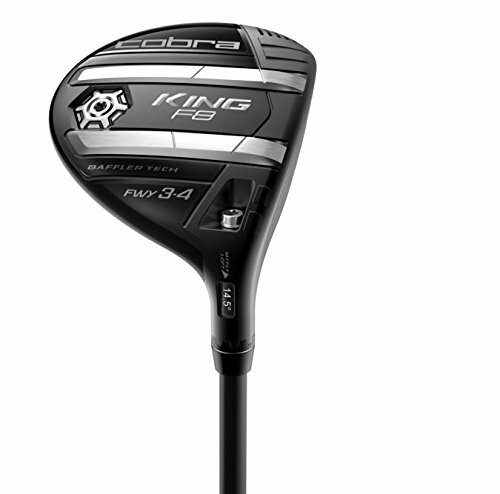 The Cobra King F8 fairway wood features an ultralight carbon fiber crown which promotes higher trajectories and increased forgiveness. Distance is increased thanks to a forged E9 475 stainless steel face insert that maximizes flex for increased ball speeds and distance across the entire club face. The King F8 also features a Baffler-style rail design for improved versatility and consistent contact from any lie, while the innovative 360° Aero Technology optimizes aerodynamic performance and maintains a low CG for fast clubhead speed and optimal launch and spin conditions. Ultralight carbon fiber crown moves CG lower and further back for higher launch. 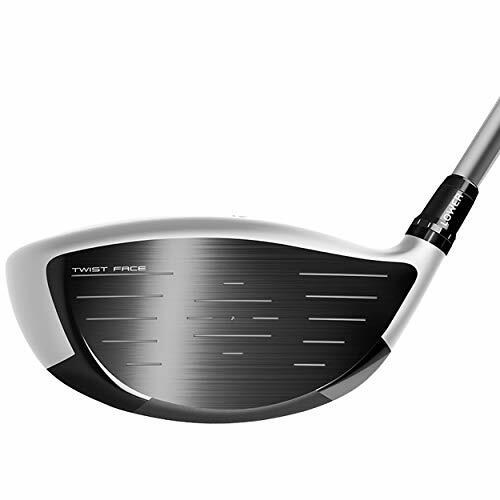 Forged, Variable thickness E9 Stainless Steel Face provides explosive distance. 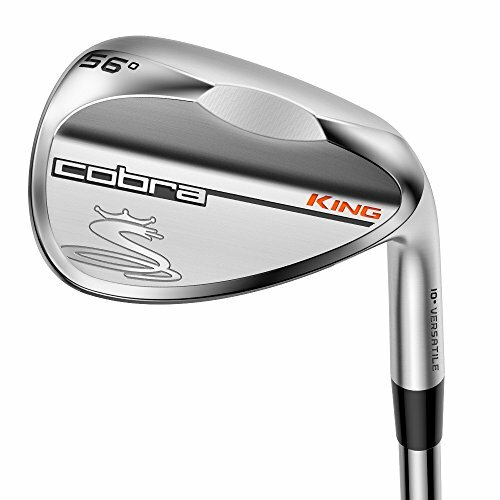 The Cobra King F9 Irons are crafted via a five-step forging process which produces an enhanced feel at impact. 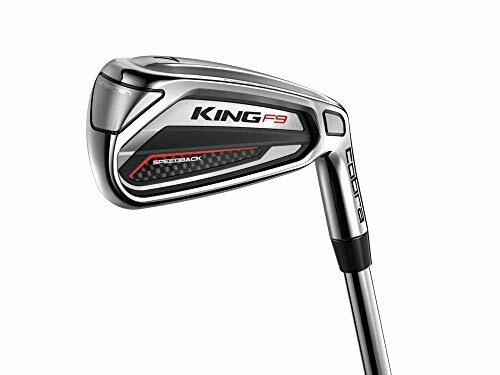 With 33g of tungsten in the heel and toe, the Cobra King F9 Iron is designed to provide increased stability and inertia while giving the player the greatest combination of forgiveness and distance. 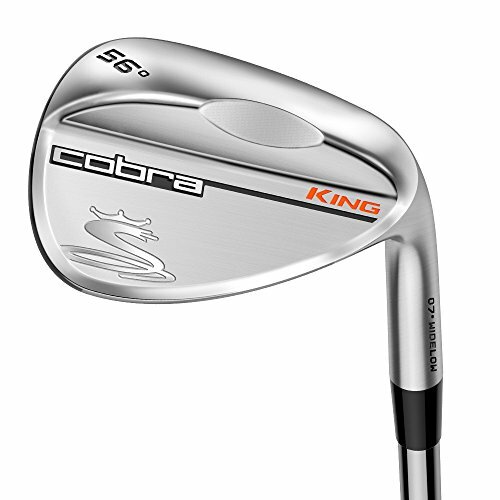 With a lower and deeper center of gravity, the Cobra King F9 increases ball speed and launch to help maximize distance. While the CNC milled grooves increase spin for greater distance control. 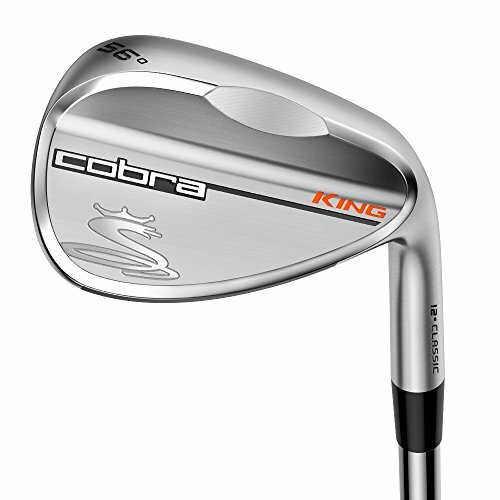 The Cobra King F9 Irons offers precision, workability, and accuracy for attacking the pin. Five step forging process helps increase the feel at impact. The lower center=of-gravity provides greater accuracy. Speedback design ideal for the serious golfer in mind. The Cobra King V Grind wedge provides the ultimate in versatility around the greens while the new face/groove technology allows every golfer to be more precise from 100 yards and in. 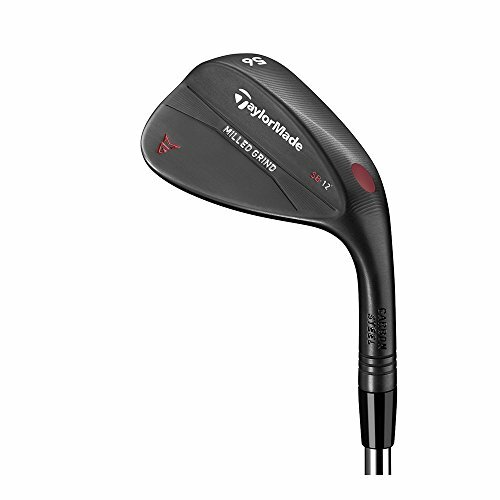 The innovative Progressive Milled Groove design features wide grooves in the higher-lofted wedges and narrow-spaced grooves on lower-lofted wedges to provide optimum spin and trajectory. The Variable Face Roughness delivers an optimal surface to maximize spin and control for greater versatility around the greens. The King V Grind wedges also feature Notch Technology which enables the sole and trailing edge to sit lower to the ground, which results in the blade height being closer to the ground. The Progressive Milled Grooves are wider in higher lofted wedges and narrower on lower lofted wedges, providing optimum spin and trajectory. The Variable Face Roughness technology increases friction on the face, helping control spin around the greens. Thanks to Notch Technology, the sole sits lower to the ground, making consistent contact easier. 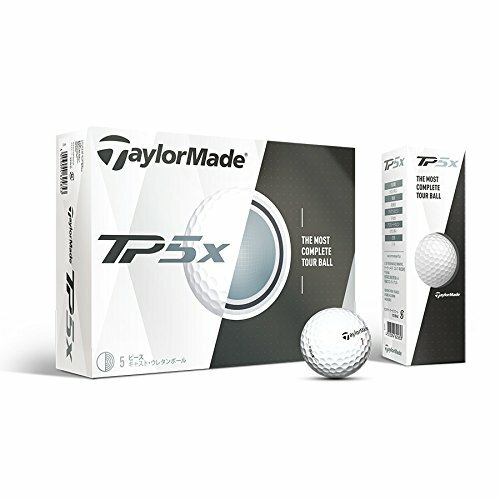 The TaylorMade TP5x golf ball features a Tri-Fast Core and Dual-Spin Cover which combines for a 5-layer golf ball construction, specifically engineered to perform with every club in the bag. The Tri-Fast Core provides progressive compression for maximum energy transfer while the Dual-Spin soft cast urethane cover with its 322 seamless dimple pattern produces incredible spin performance. 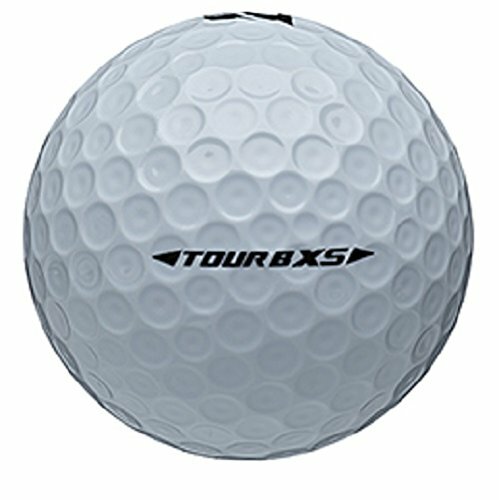 The TP5x ball also features 90 compression and high launch combined with low spin for extremely long distance on all shots. 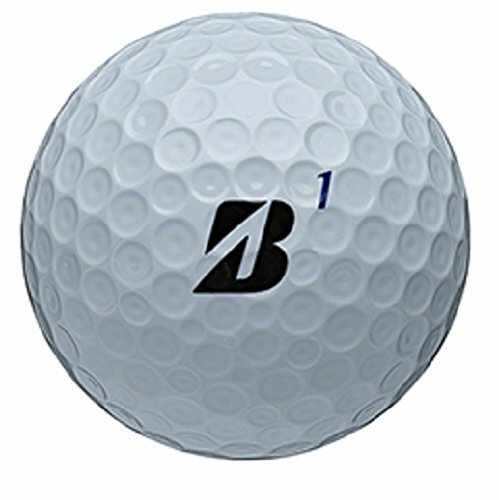 One of the most popular golf balls on Tour. Provides more consistent flight, extraordinary distance, and the ultimate short game spin and control. Low spin with the woods and higher spin with the irons make it the perfect high-performance golf ball. Rickie Fowler is one of the best golfers in the world and uses some of the best clubs and equipment in the game, and you can too. So, if you are looking to improve your golf game, take a look at what’s in Rickie’s bag, you may find something that will help you take your game to the next level. Rory McIlroy is one of the best golfers in the world and one of the most exciting players to watch. As of 2018, he has earned 14 PGA Tour victories, the most recent coming in the 2018 Arnold Palmer Invitational, as well as 4 Major Championships. Known for his incredible length off the tee despite his smaller stature, Rory McIlroy brings an excitement to the game few others can match. When he’s firing on all cylinders, he’s almost impossible to beat. In our “What’s in the bag?” series (or “WITB”) we highlight the best clubs and gear that the top Tour pros are currently using. 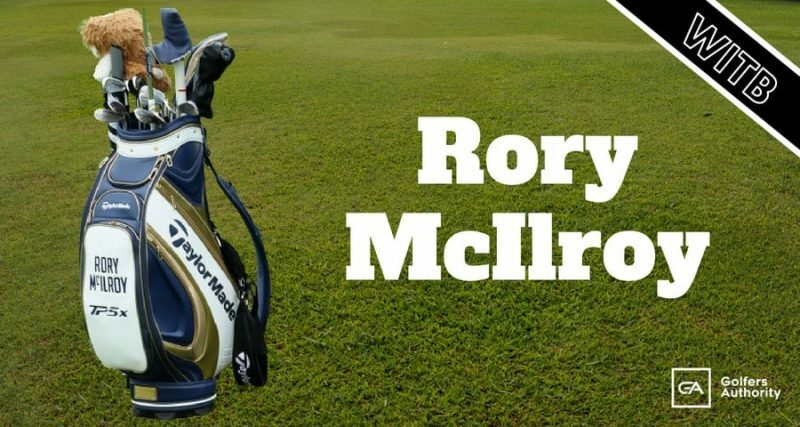 If you are currently looking to take your golf game to the next level, take a look at what’s in Rory McIlroy bag. 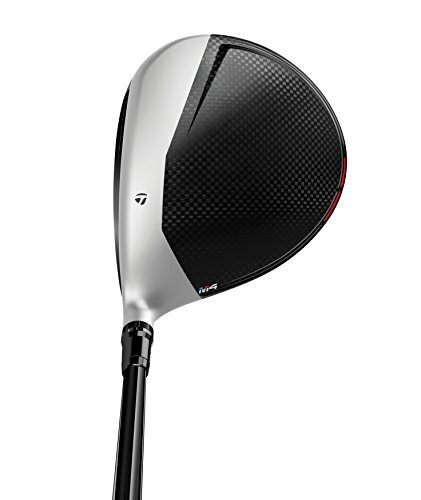 The TaylorMade M3 driver features Twist Face technology, which is engineered to reduce side spin and to deliver straighter tee shots as well as provide more loft in the high-toe and less loft in the low-heel for more consistent spin where golfers commonly miss-hit. The M3 also features a Hammerhead Slot that provides a larger sweet spot and increased ball speed for more distance while the Y-Track system allows you to move weight and adjust your settings for optimal trajectory, maximum forgiveness, or raw speed. The wide sole channel delivers more distance by flexing at impact which helps to launch the ball off the face with higher speed and lower spin. 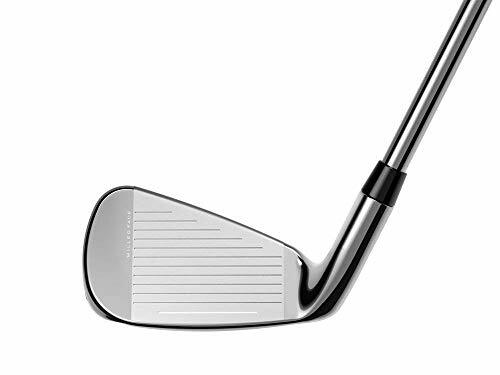 The high-speed face insert, made of a thick center and radially thin perimeter located in the heel and toe of the club, helps to deliver greater distance on off-center hits. Reducing the thickness of the club up front allows for the weight to be strategically placed in the back, resulting in a low and deep center of gravity that provides greater ball speed and more forgiveness. Sixteen unique loft and lie combinations provide players with the perfect combination to deliver the best fit available. 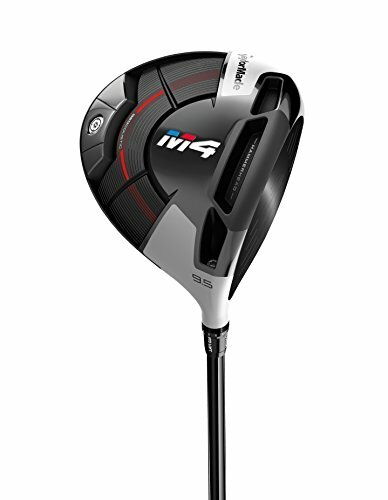 The TaylorMade M3 fairway wood sports a lighter 5-layer carbon crown and sole with 8g of weight that has been moved down for a lower center-of-gravity. A longer Speed Pocket provides more flexibility and ball speed low on the face while the new track delivers precise and consistent turf interaction for improved playability. Twist Face Technology: By twisting the face open on the high-toe and closed on the low-heel, golfers produce straighter shots on mishits. 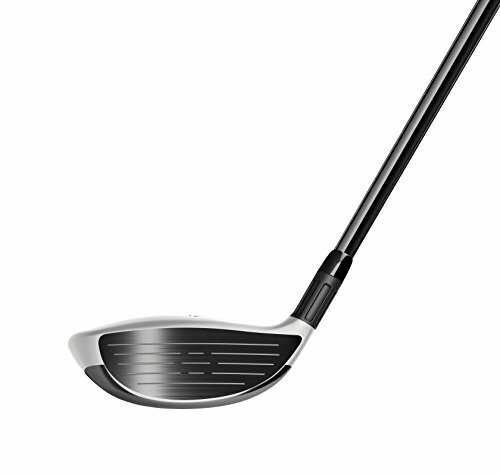 The Hammerhead Slot makes the sweet spot larger by increasing ball speed and forgiveness across the entire club face. Y-Track: Two 11-gram weights can be adjusted to personalize ball flight for draw/fade or high/low launch. Minimal offset and straighter topline provide a confidence building look at address. 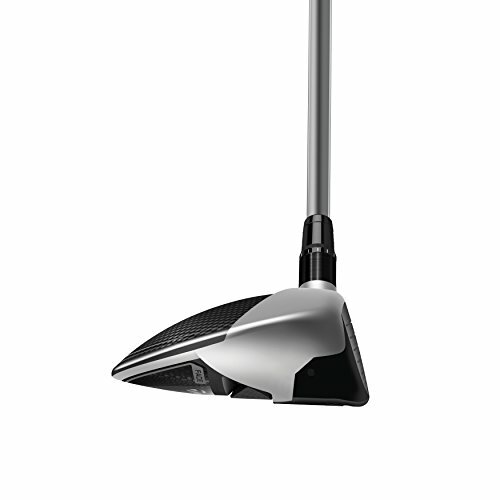 Super-thin face promotes unparalleled distance from the tee and the fairway. A smaller version of the Inverted Cone acts as a springboard, further enhancing distance. 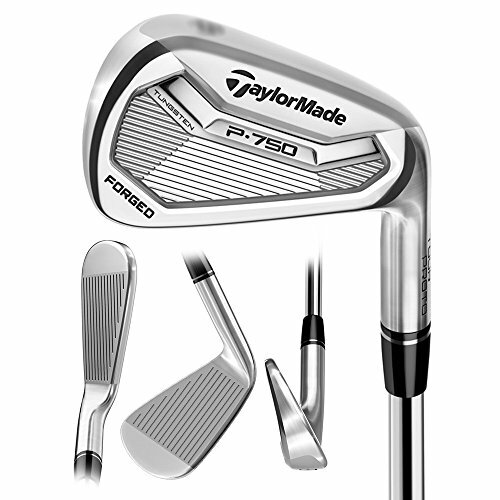 The TaylorMade P750 irons are designed for players who prefer a compact, forged clubhead for precise shot making and immediate feedback after impact. The irons are crafted from 1025 carbon steel through a new mutli-step forging process which ensures precise head shaping with minimal hand polishing for a pure players iron with a soft, solid feel. 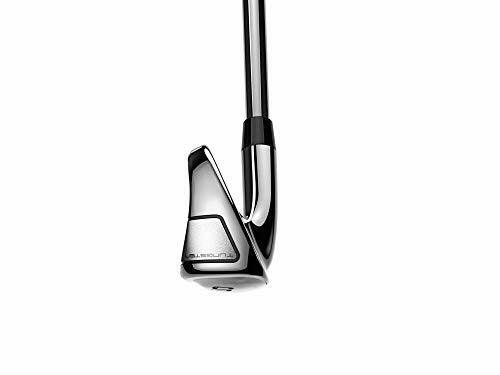 The P750 irons feature a thin topline (thinner than the P770) and progressive offset for a clean look at address as well as a narrower sole and tighter leading edge for improved turf interaction. Designed for the best players in the world, the TaylorMade P730 irons are amongst the best irons TaylorMade has to offer. The Tour-inspired shaping features improvements over previous muscle backs, including a smaller blade profile, refined leading edge, and sharp lines. 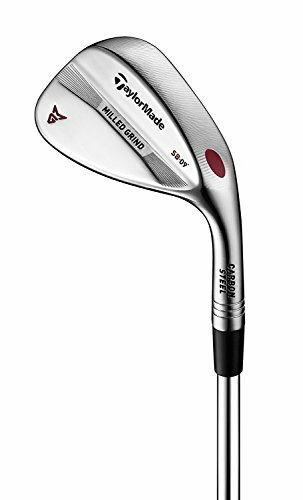 Built from forged 1025 carbon steel head, the face and grooves are precision-milled to produce soft feel, crisp turf interaction, and exceptional shot-shaping capabilities. Forged from quality carbon steel, these irons provide the ultimate in feel and feedback. Precision milling allows you to control your distances with remarkable accuracy. Designed for the serious golfer in mind, these irons look great at address from any lie and perform just as well. 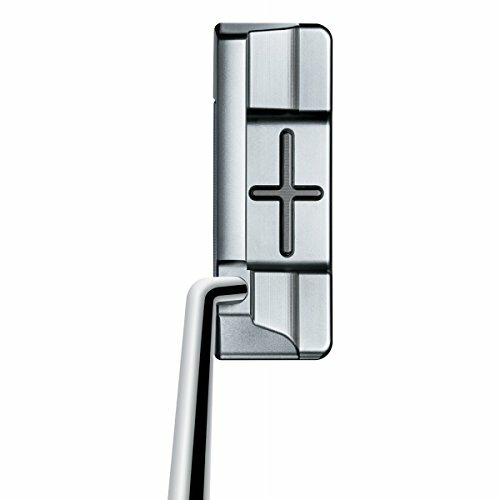 Designed with direct input from Tour, P770 irons feature carefully considered contours for an appealing look at address. 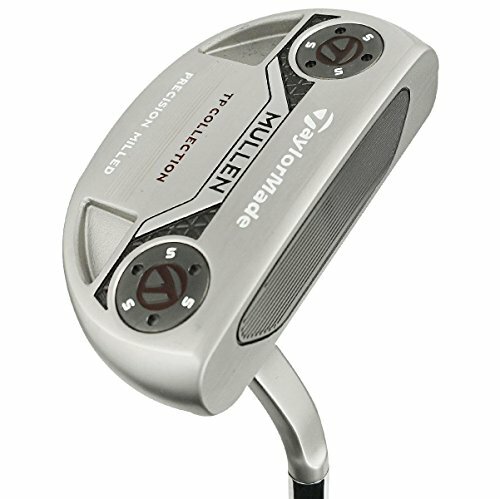 The TaylorMade TP Collection Mullen putters are designed with a flawless and precise Milled 303 stainless steel head with a tour stain finish. The Milled 360 Roll Insert allows for better ball-gripping which results in improved roll, sound and feel. The TP Collection putters also feature strategically positioned high contrast sightlines that makes alignment easier before you make your stroke. By combining the features of a blade putter with a mallet design, the Mullen is a perfect fit for players who release the toe through impact. Mallet-style design provides incredible stability throughout the stroke. Two 5g weights in the sole of the putter further enhance stability and feel. 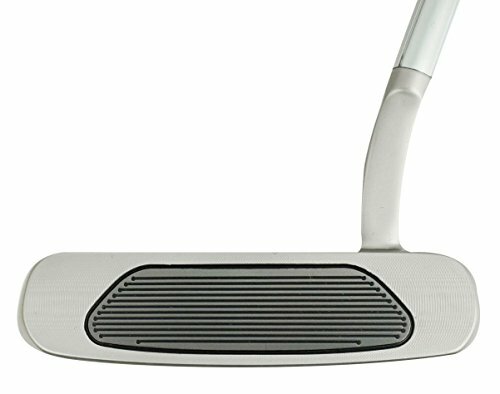 Engineered with a slight toe hang, this putter is ideal for the open-to-close stroke. Rory McIlroy is one of the best golfers in the world and uses some of the best clubs and equipment in the game. Being a high-profile player, Rory has access to clubs that are perfectly designed for his game. The good news is once he finds something that helps him perform his best, it usually becomes available to the general public in no time. 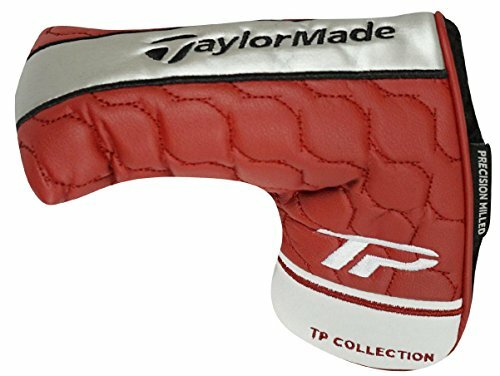 If you are looking for the highest quality golf clubs from the TaylorMade family, his set would be a great one to emulate. Dustin Johnson is one of the best golfers in the world and is simply one of our favorite players to watch. As of 2018, Dustin has won 18 PGA Tour titles including the 2016 U.S. Open Championship. Dustin Johnson is an amazing player and well on his way to a Hall of Fame career. In our “What’s in the bag?” series (or “WITB”) we highlight the best clubs and gear that professional players are currently using in their bags. So, if you are currently looking to take your golf game to the next level, then take a look at what’s in Dustin Johnson’s bag. 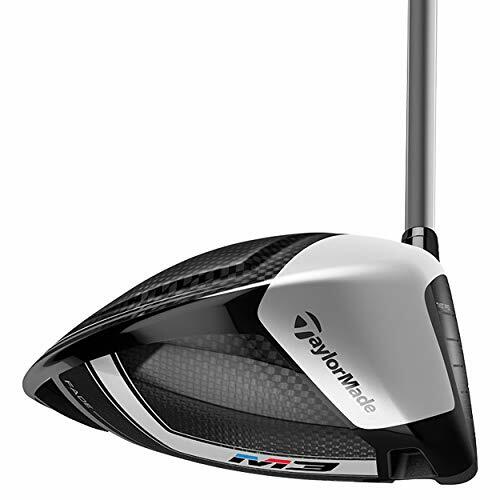 The TaylorMade M4 driver’s Twist Face Technology is engineered to reduce side spin and deliver straighter shots by adding more loft in the high-toe and less loft in the low-heel to produce more consistent spin where golfers mis-hit their drives. The Hammerhead Slot creates a larger sweet spot and increased ball speed low on the face and drops unwanted spin for more distance. Geocoustic technology reduces sole volume which enables a larger, more forgiving face. 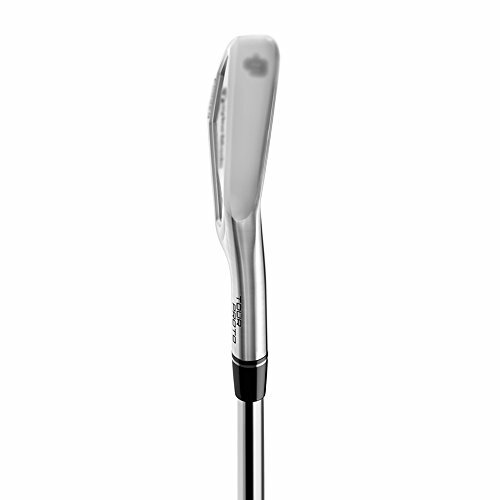 Twist Face Technology opens on the high-toe and closed on the low-heel to produce straighter shots on those mishits. Hammerhead Slot Makes the sweet spot bigger, increasing ball speed and forgiveness across the entire club face. Geocoustic Technology: reduces sole volume for a bigger sweet spot and improves sound and feel at impact. The TaylorMade M4 fairway wood has an innovative 5-layer carbon crown, providing a lower CG and increases launch while reducing spin. The Ni-Co 300 steel face insert allows for a thinner, explosive face for optimized ball speed while the Fluted hosel provides superior sound and feel without compromising the CG location. Geocoustic technology improves feel and sound while a low-profile shape makes it easy to launch and play from any lie. Innovative five-layer carbon crown creates a lower center of gravity, promoting higher launch while reducing spin. 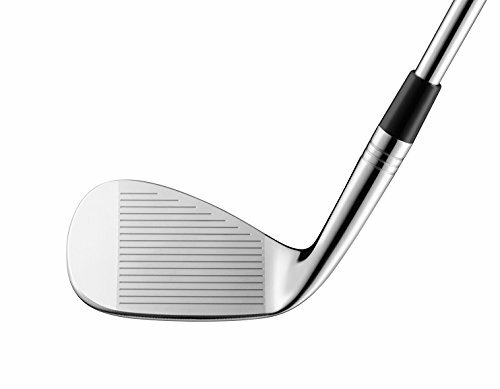 Strong Ni-Co 300 steel face insert allows for a thinner, faster face which increases ball speed. The Geocoustic technology improves sound and overall feel. 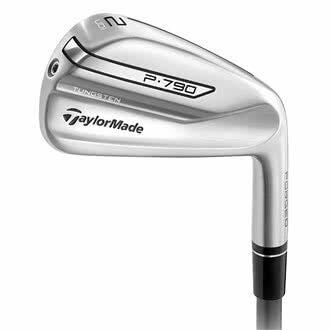 The TaylorMade P790 irons provides unparalleled distance for a forged iron, has the look and feel of a players iron while also delivering forgiveness and playability. The P790 irons feature an ultra-thin leading edge and SpeedFoam Technology, both creating an iron that provides the best in distance, feel, and playability. 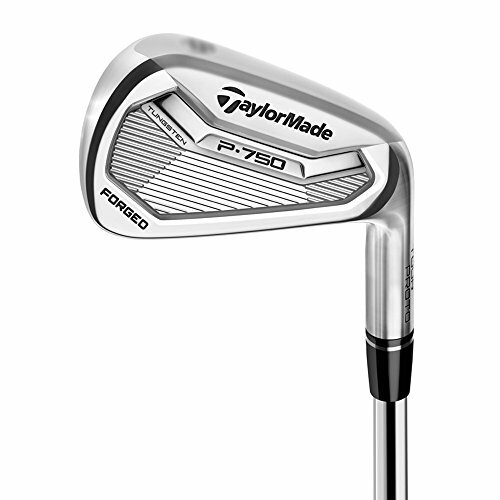 Once known as the “DJ Proto” irons, the TaylorMade P730 irons are amongst the best irons TaylorMade has to offer. 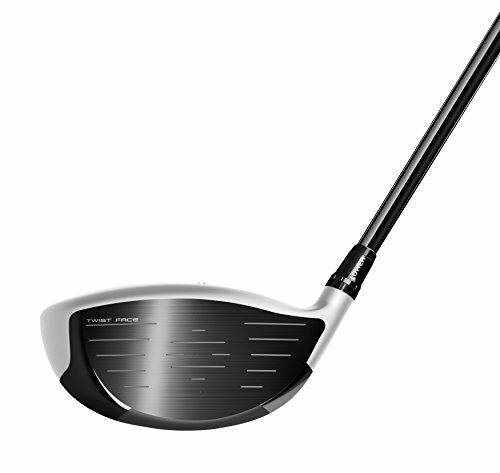 The Tour-inspired shaping features improvement over other muscle backs, including a smaller blade profile, refined leading edge, and sharp face lines. Crafted from forged 1025 carbon steel, the face and grooves are precision-milled to produce soft feel, cleaner contact from any lie, and exceptional shot-shaping capabilities. 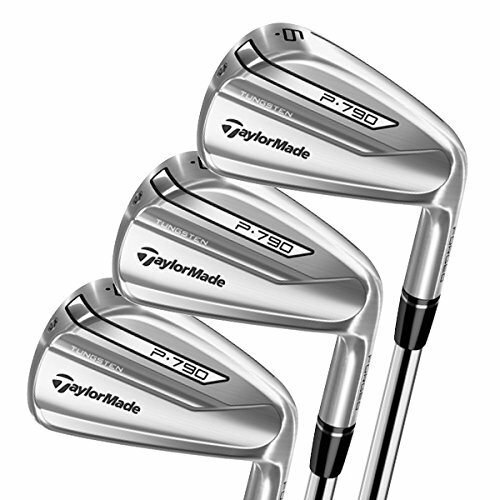 Forged from the best carbon steels, these irons provide the very best in feel and feedback. Precision milling allows every golfer to control their distances with remarkable accuracy. 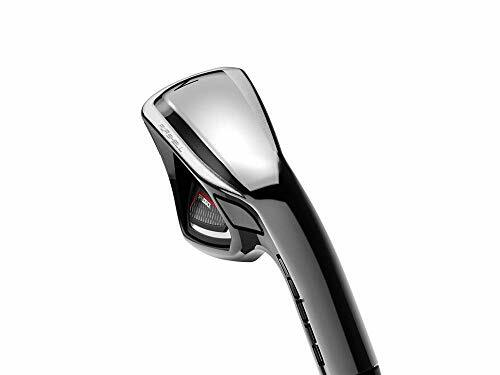 Manufactured for serious players, these irons look amazing at address. The TaylorMade Milled Grind wedges set an incredibly high standard in precision with a plethora of bounce options. The CNC machined sole geometry coupled with a precise leading edge inspires a lot of confidence at address. New ZTP-17 grooves and a precision weight port lower center of gravity maximizes spin and gives you incredible control around the greens. 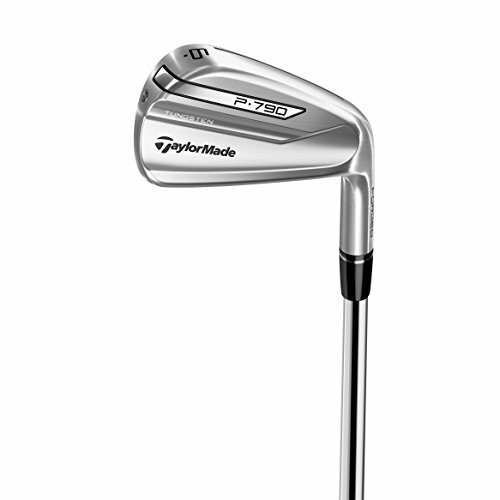 The TaylorMade Hi-Toe wedge offers amazing versatility around the greens. 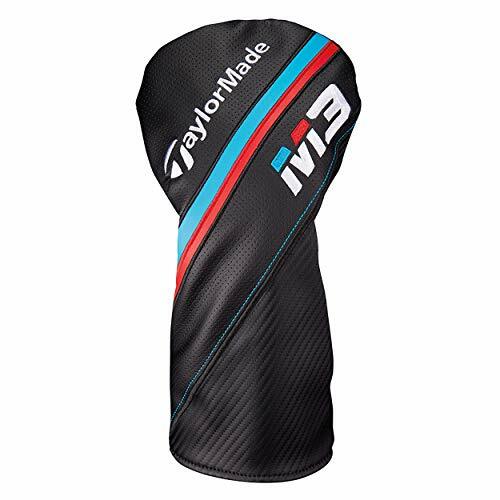 Designed to produce a lower launch and more spin, it features a sole cavity with three trapezoid-shaped pockets which optimize weight distribution. Full-face scoring lines produce consistent ball contact out of the rough while the high bounce leading-edge with increased belly offers less resistance for improved contact from turf or sand. The Hi-Toe wedge’s Channel Cut Mid-Sole prevents excessive digging. 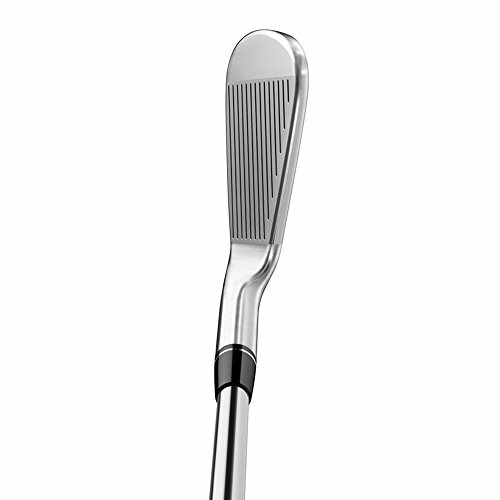 Innovative ZTP-17 grooves provide maximum spin from tight lies as well as deep rough. Centrally located center-of-gravity improves feel and forgiveness. 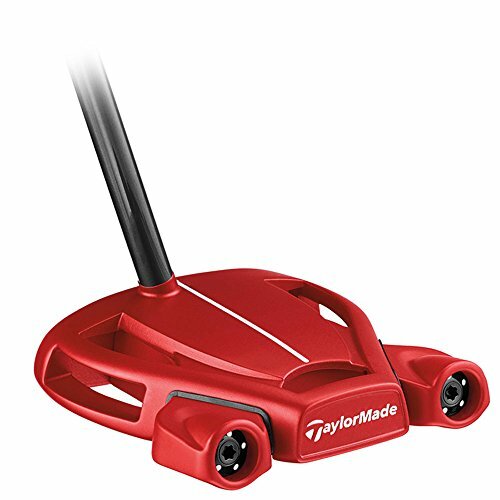 The TaylorMade Spider Tour Black putter was specially designed for Dustin Johnson, and now you can use this premium and precise putter to shave some strokes off of your score. Redesigned with a smooth crown and no sight-line, the alignment system is clean and seamless. 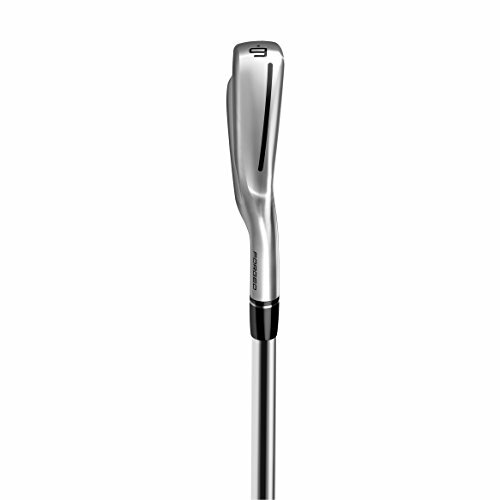 A short, slant-neck hosel provides the player with expanded visibility of the face and toe hang. 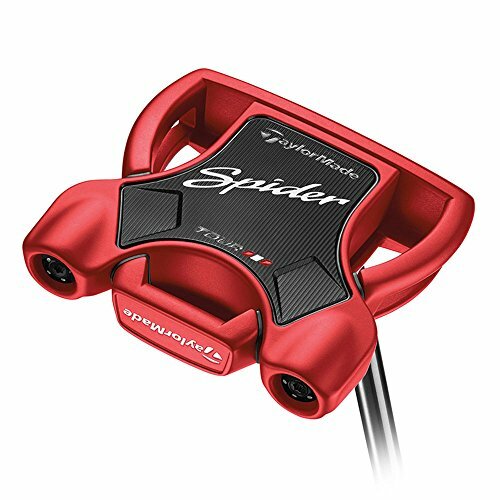 The Spider Tour Black has a firmer sound and feel than the Spider Tour Red, but both feature a lightweight body and stainless steel frame which increases MOI. The vibration-dampening PU foam provides a consistent sound and feel for every putt you take. 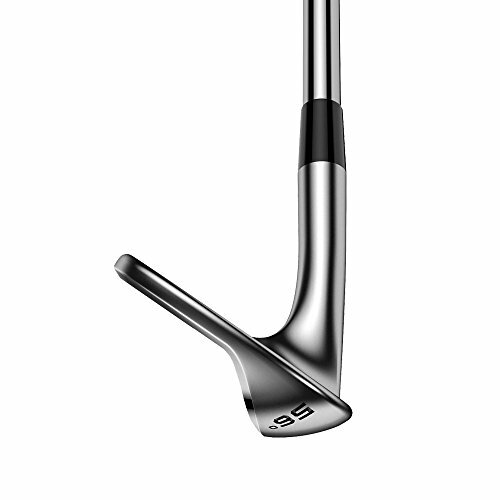 Short slant neck hosel for expanded visibility of the face. Smooth crown and no sightline for an ideal alignment system. PU foam produces Solid feel and incredible sound off the putter face. 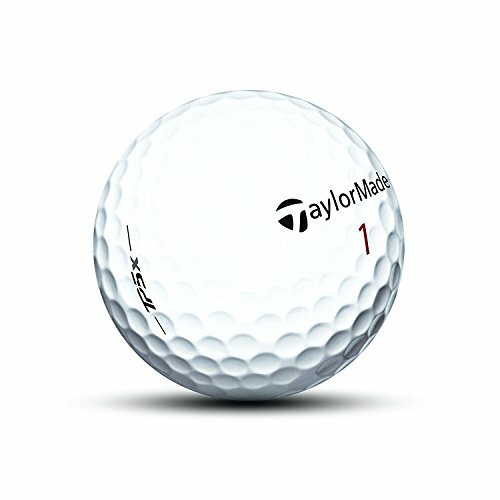 The TaylorMade TP5x golf ball features a Tri-Fast Core and Dual-Spin Cover which combines specifically engineered technology to perform with every club in the bag. The Tri-Fast Core provides progressive compression for maximum distance while the Dual-Spin soft cast urethane cover’s 322 seamless dimple pattern produces incredible spin performance. 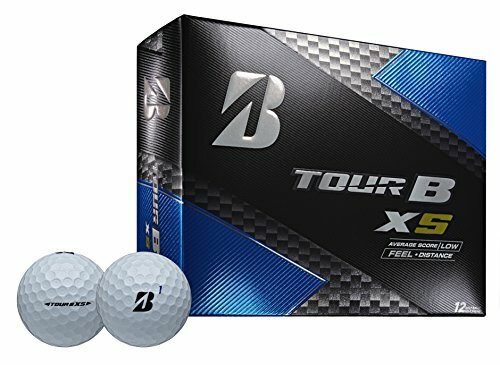 The TP5x ball also features 90 compression and a high launch combined with low spin for incredible versatility on all shots. Incredibly popular on the Tour. High-performance golf ball is the perfect mix of distance, spin, and durability. 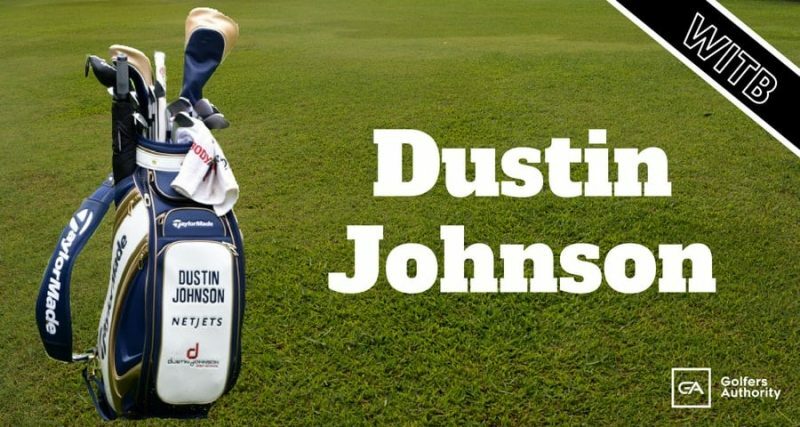 Dustin Johnson is one of the best golfers in the world and uses some of the best clubs and equipment in the game. Dustin is using clubs and equipment that he has found helps him have more distance, accuracy and control. If you are looking to improve your golf game, take a look at what’s in Dustin’s bag, you may find something that will help you take your game to the next level.